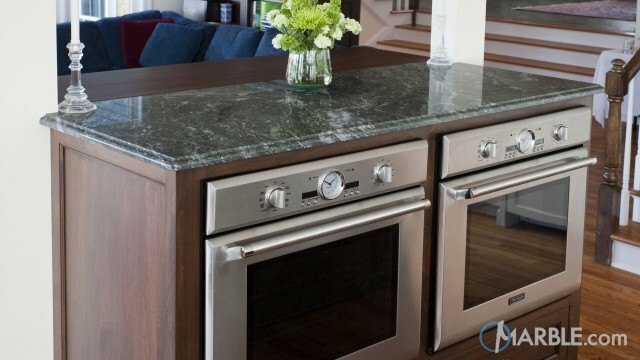 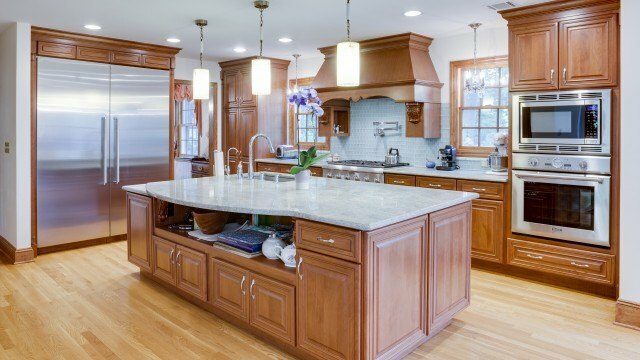 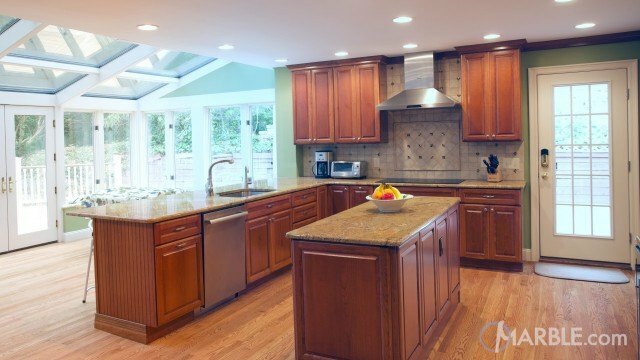 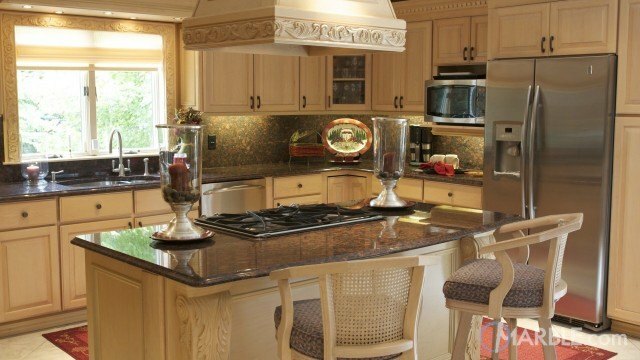 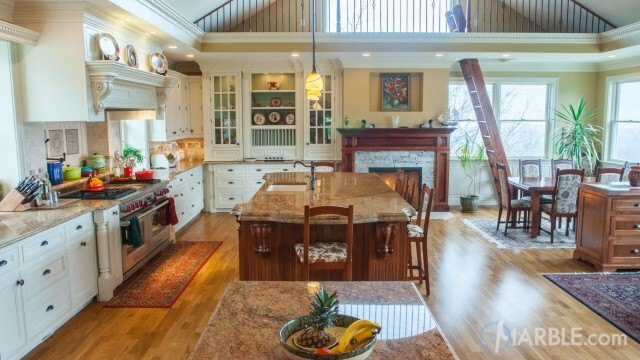 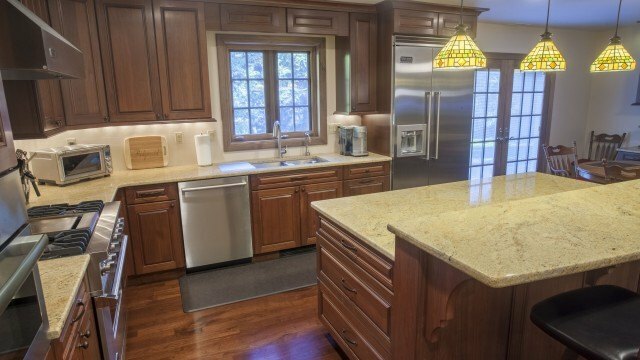 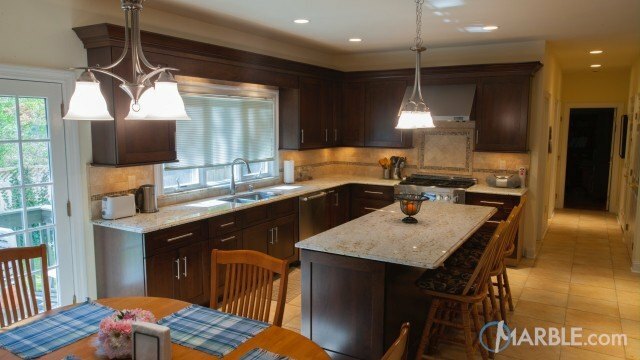 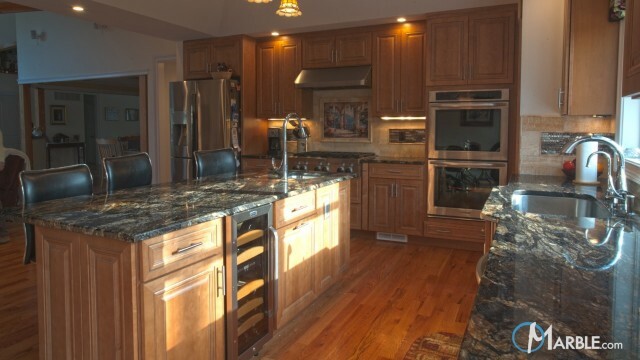 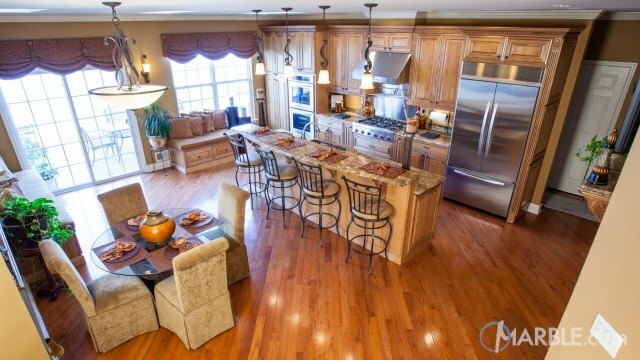 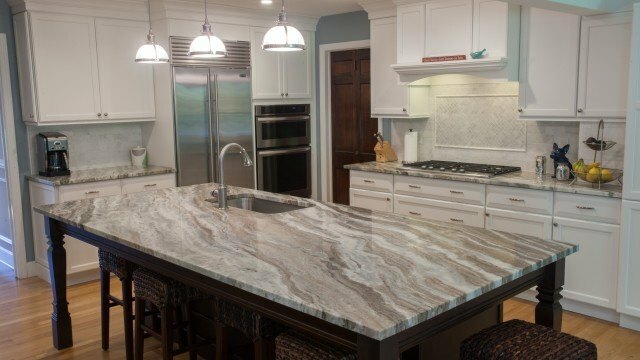 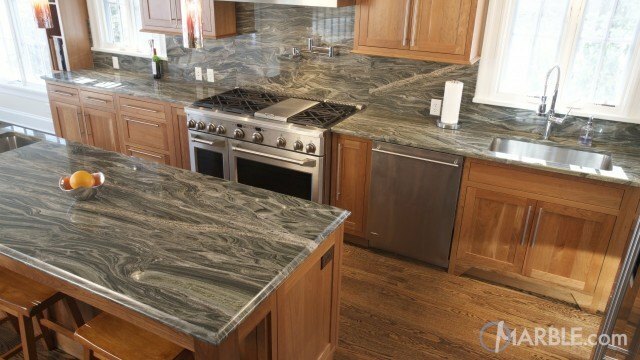 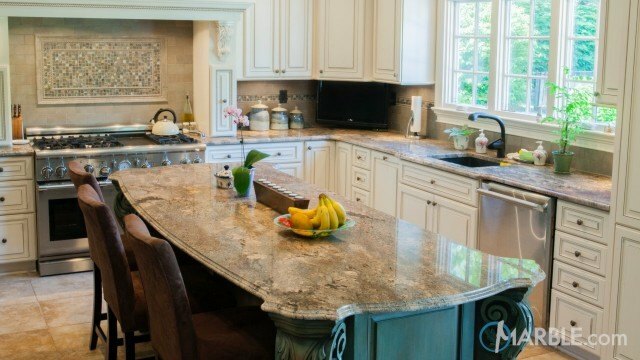 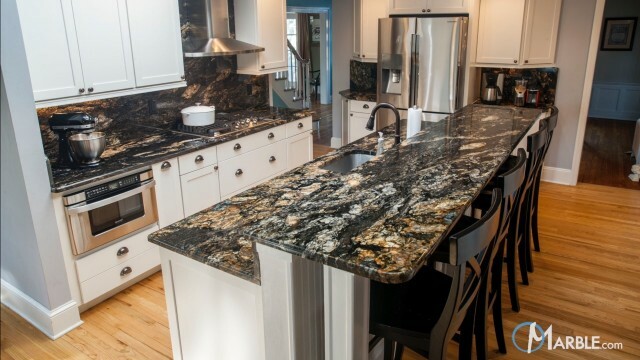 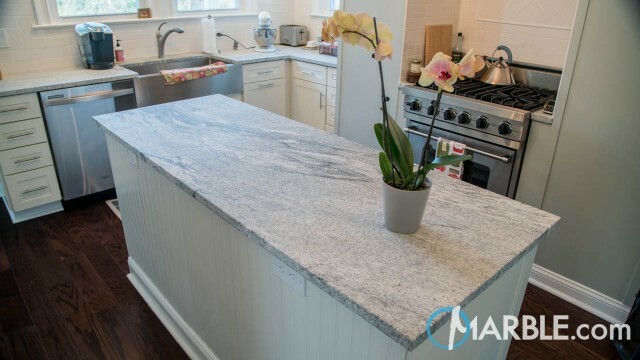 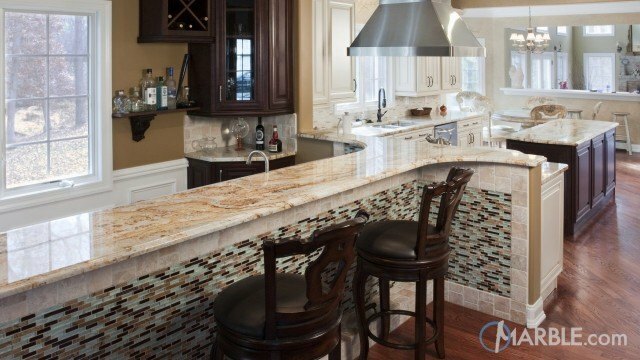 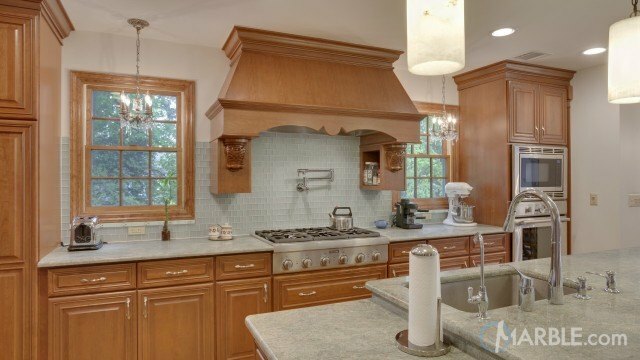 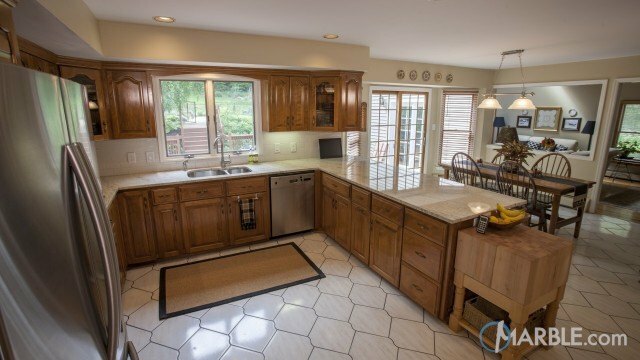 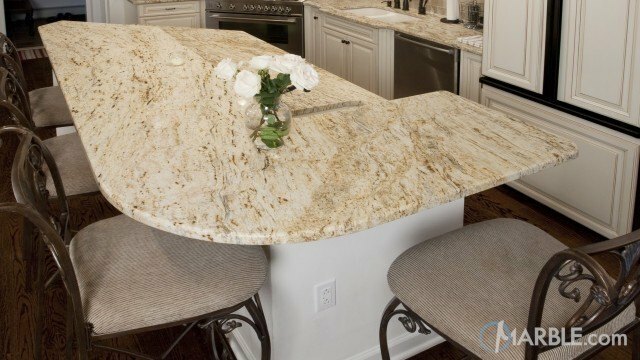 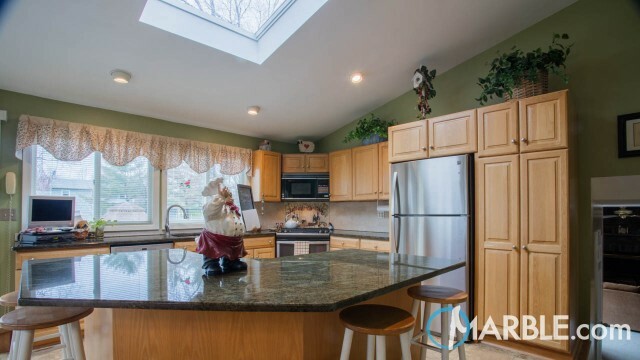 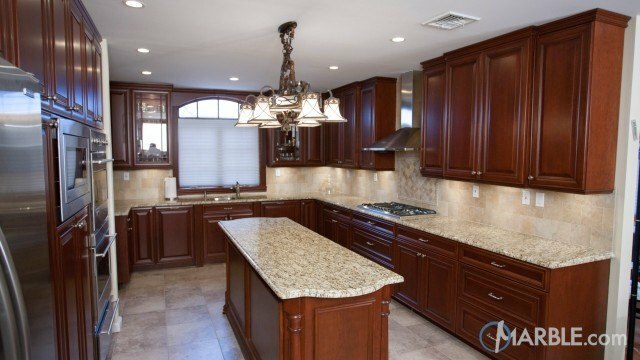 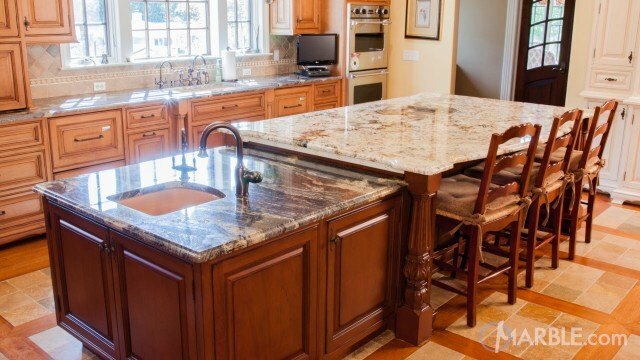 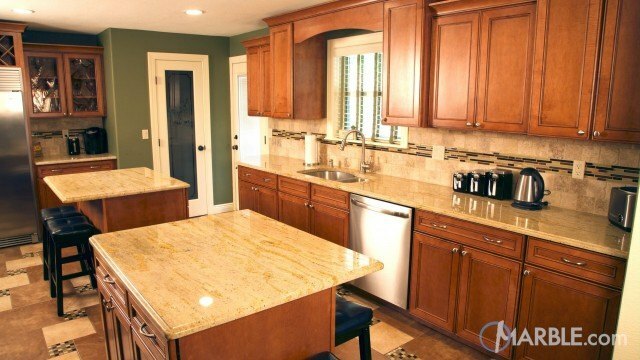 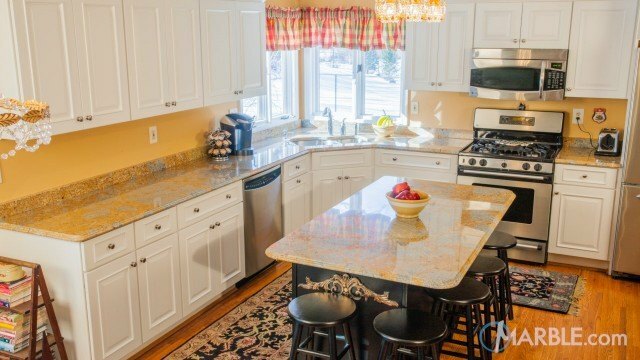 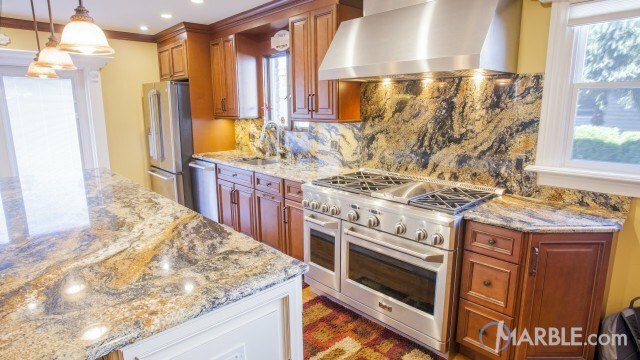 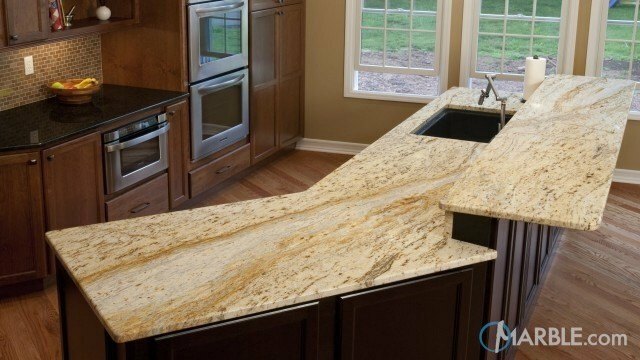 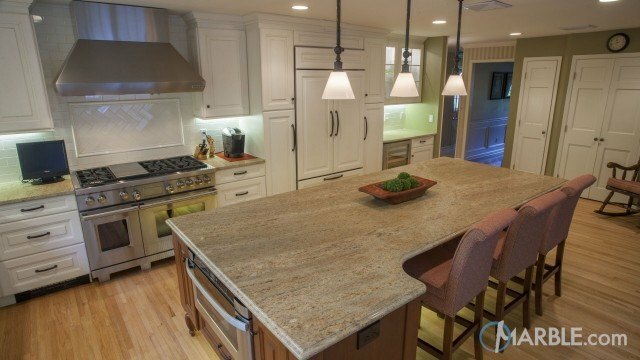 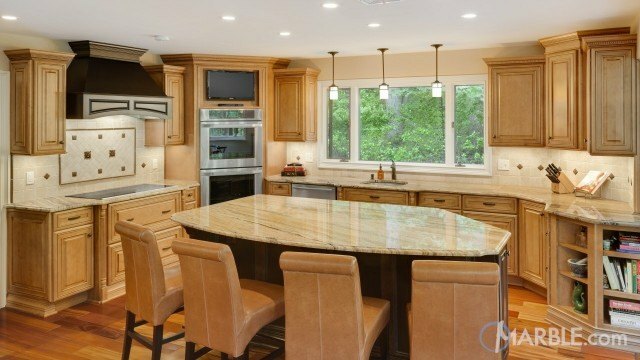 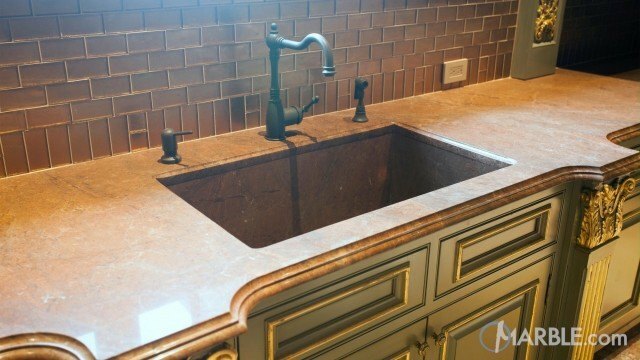 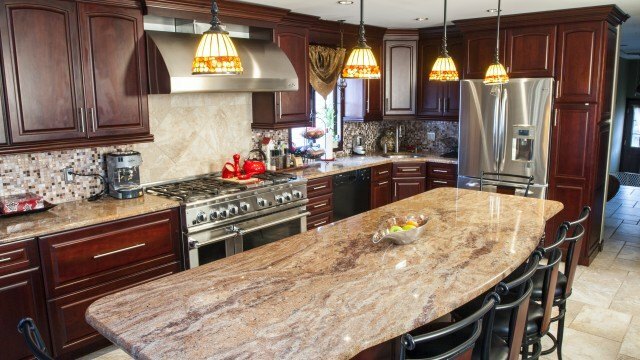 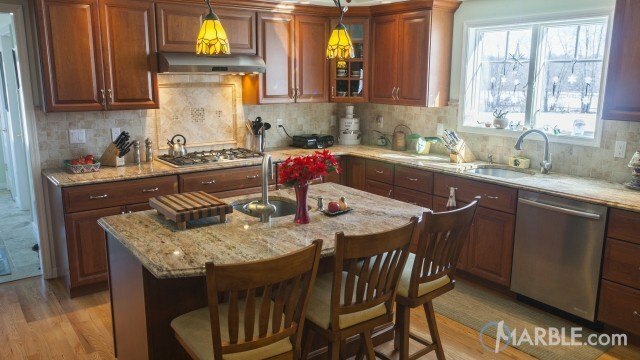 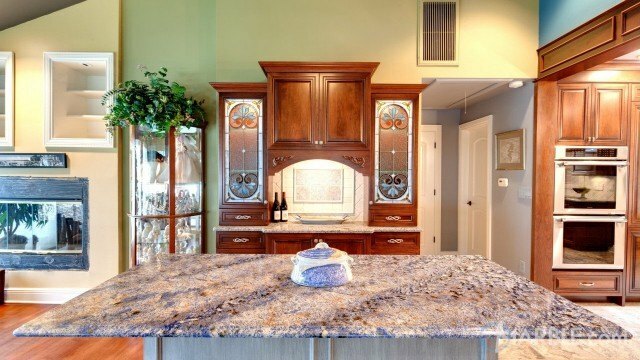 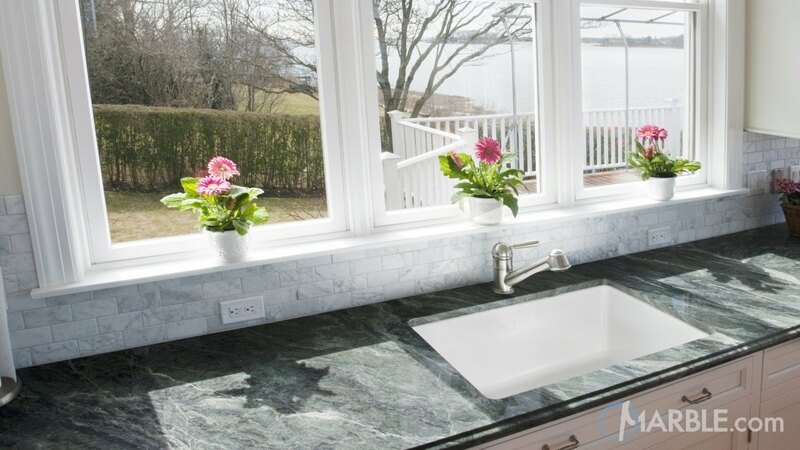 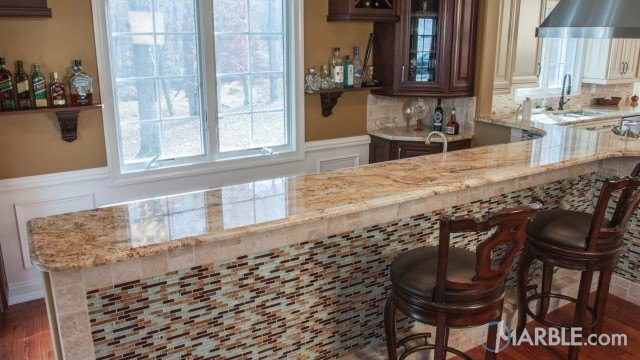 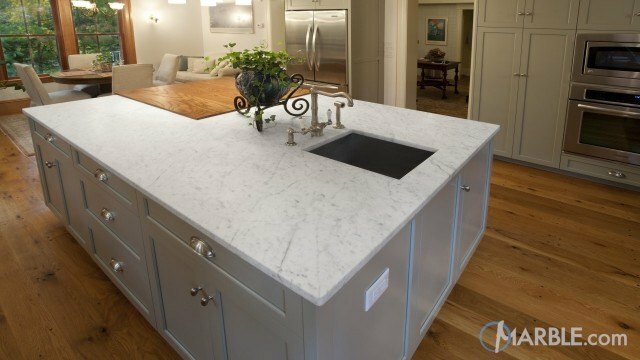 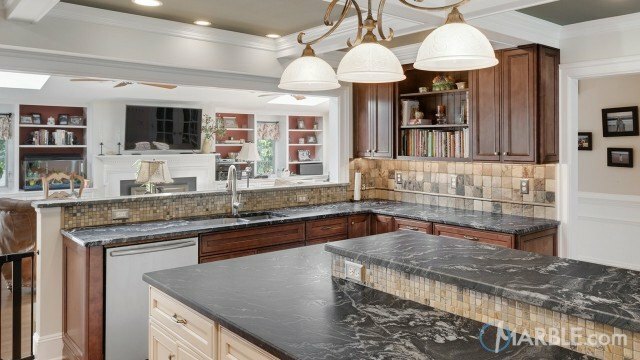 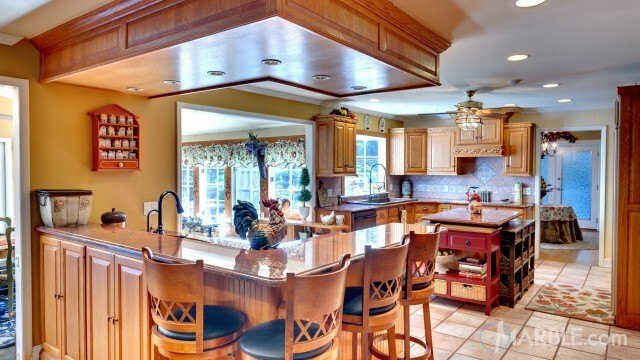 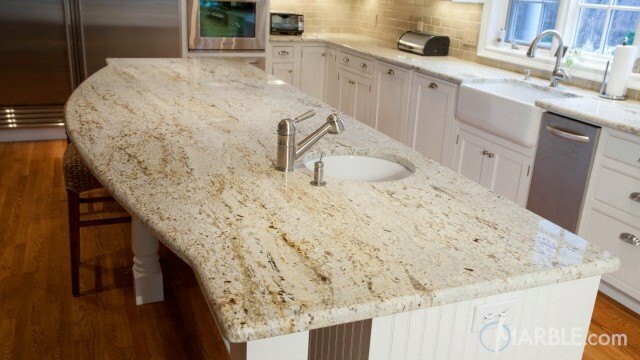 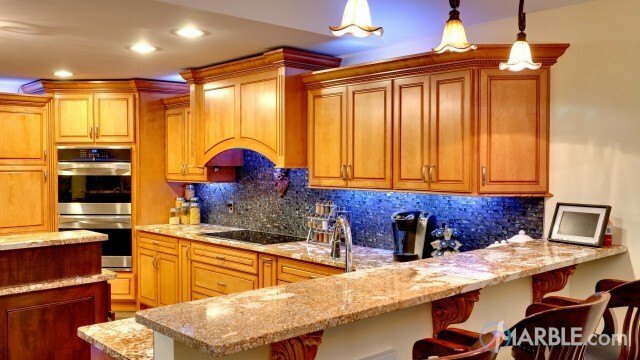 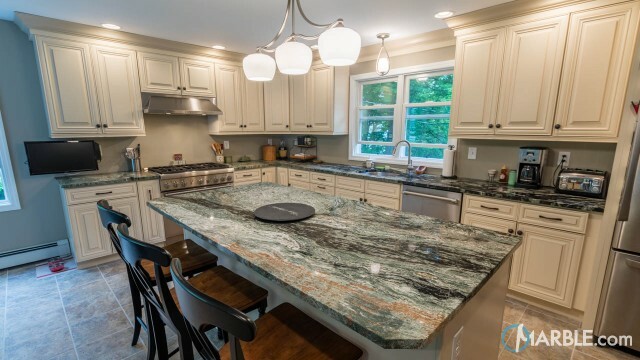 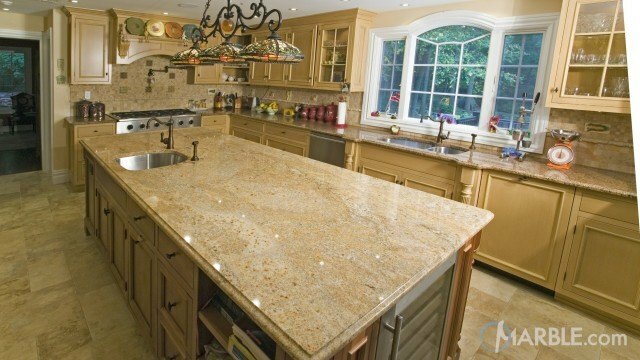 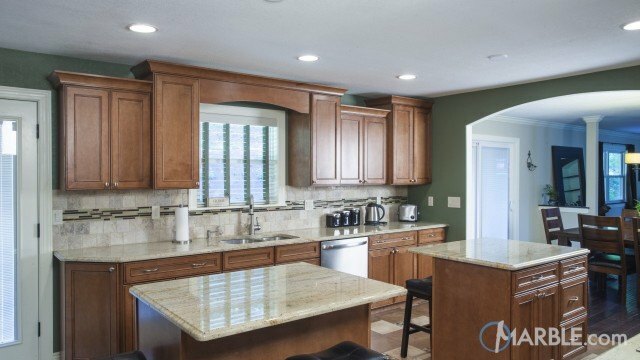 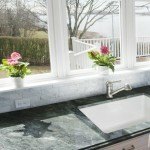 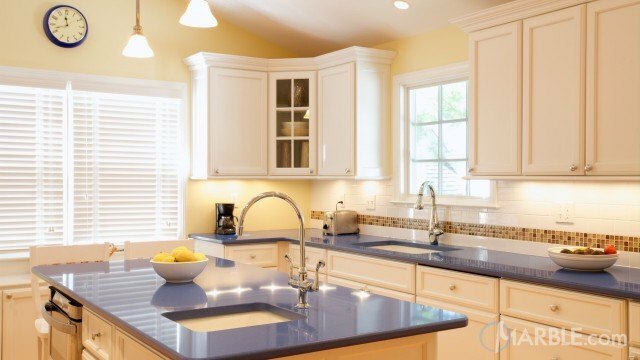 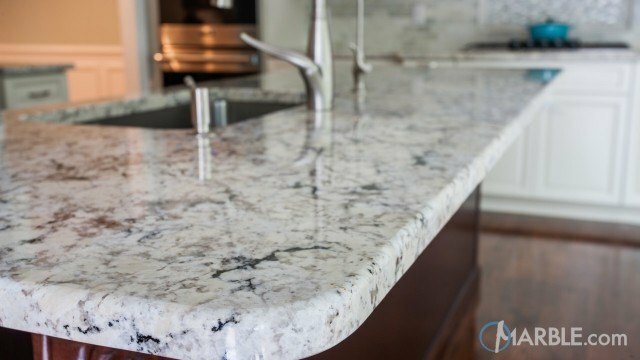 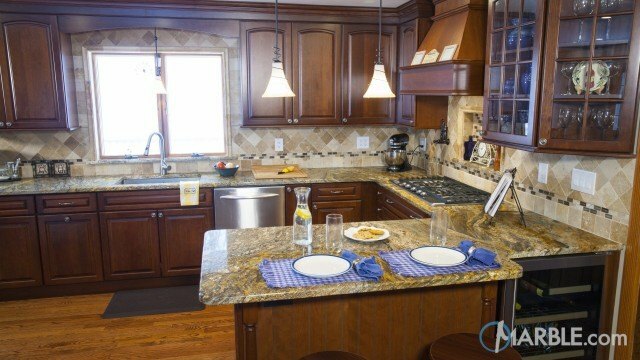 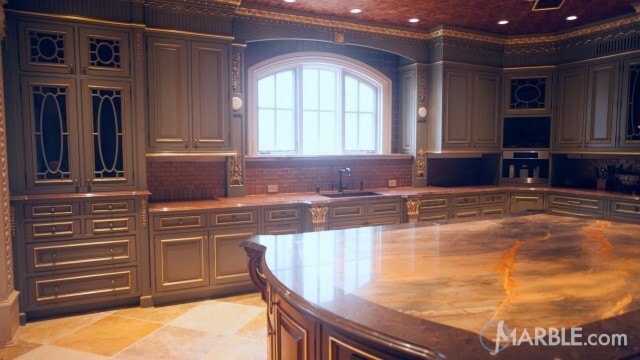 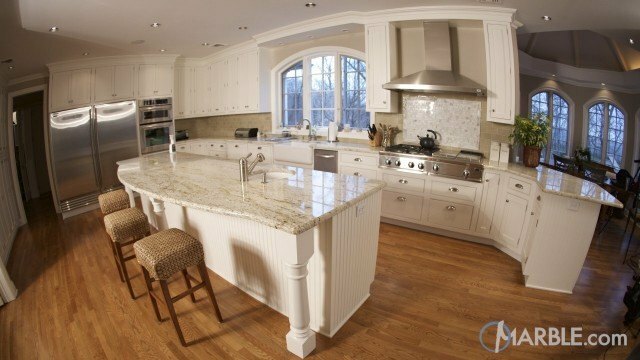 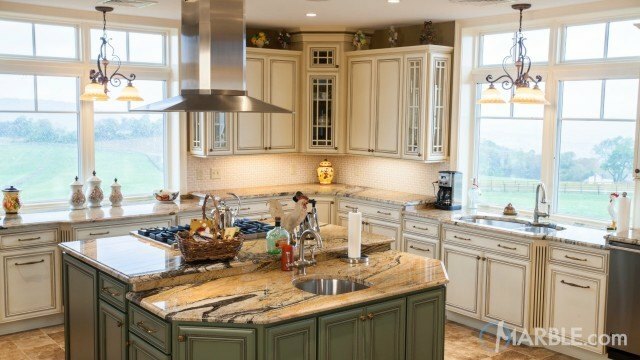 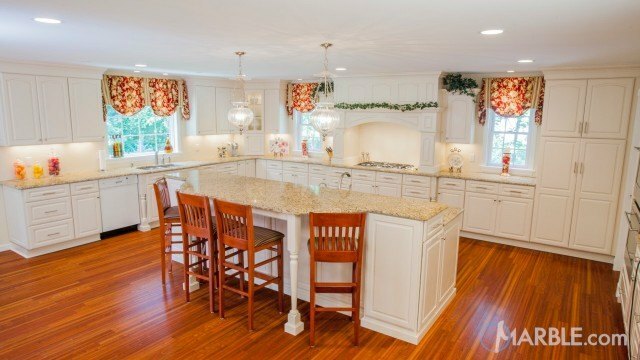 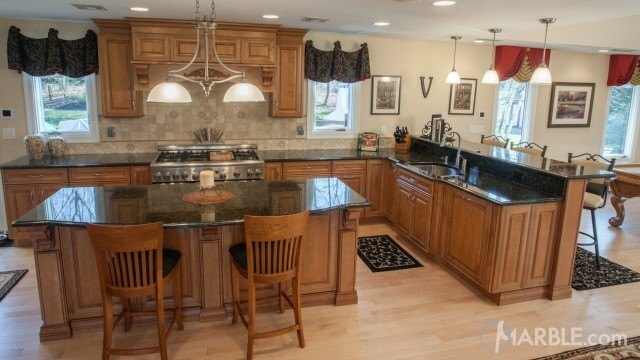 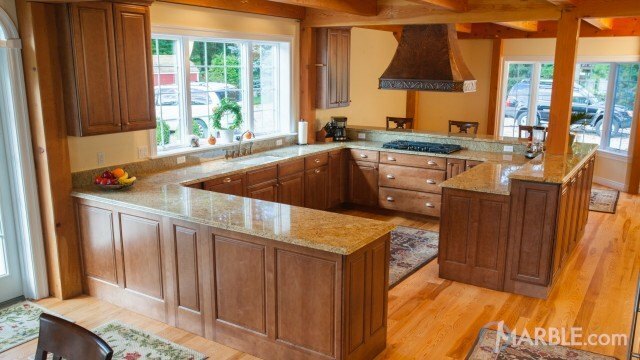 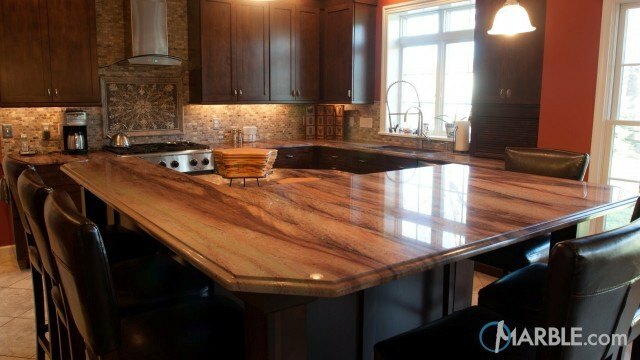 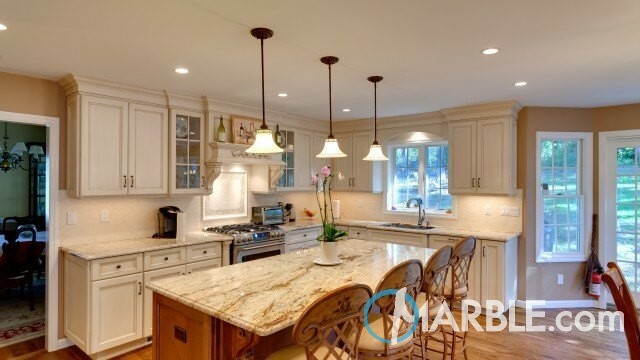 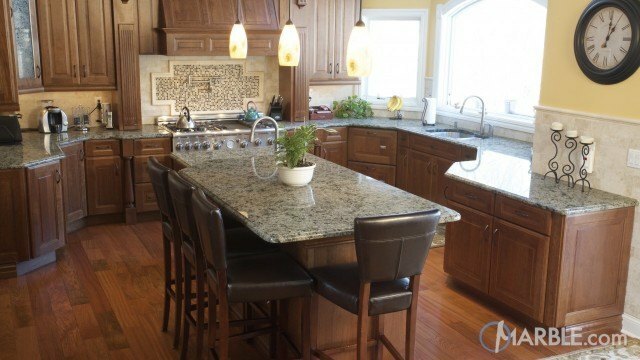 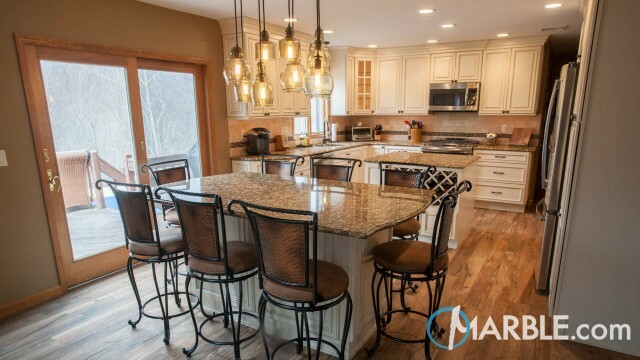 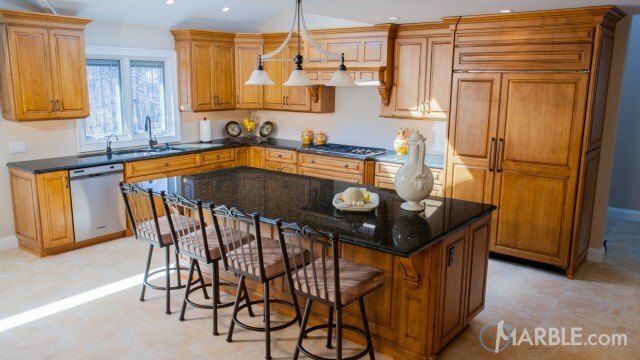 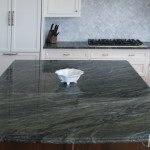 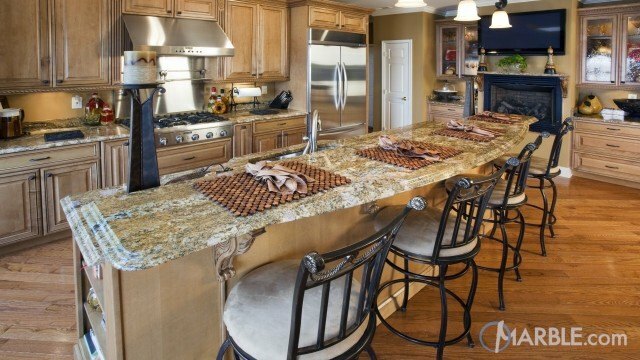 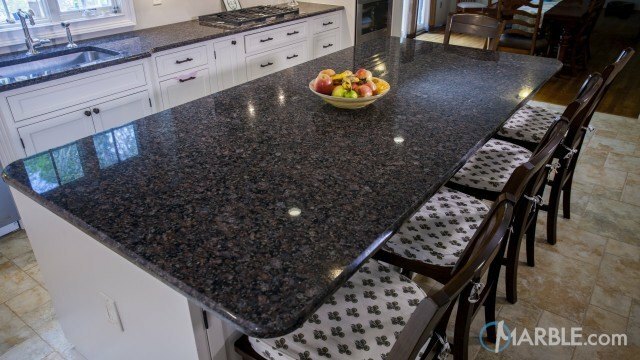 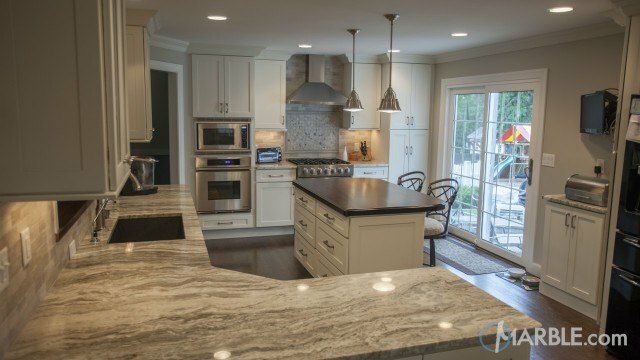 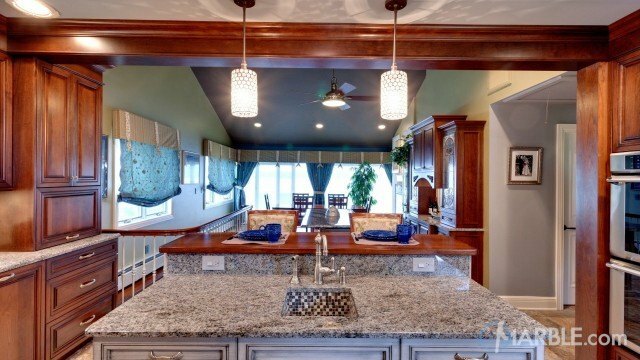 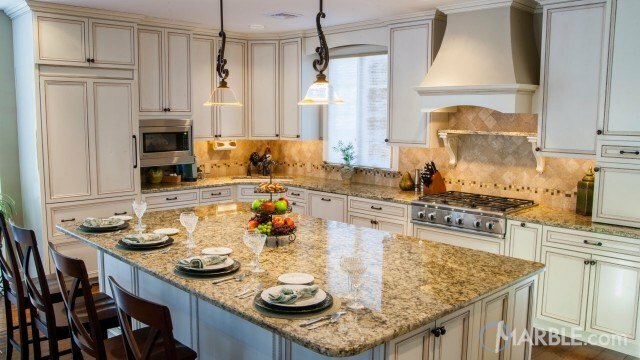 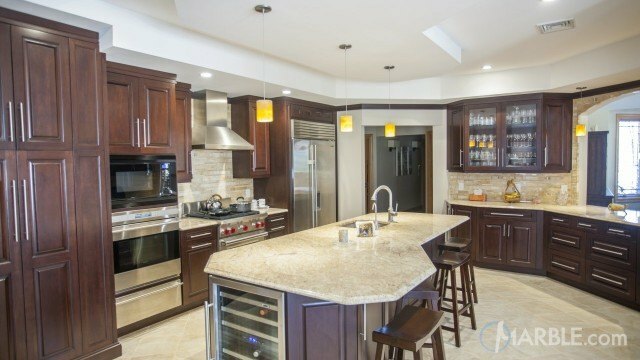 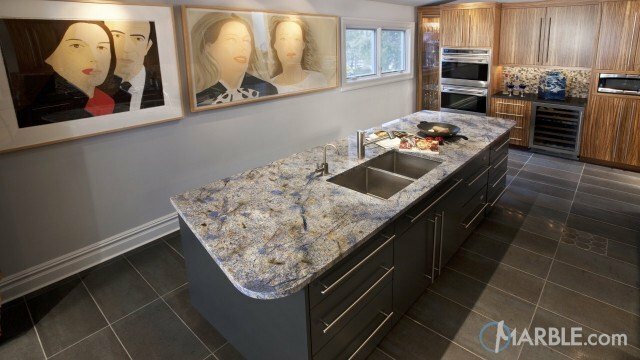 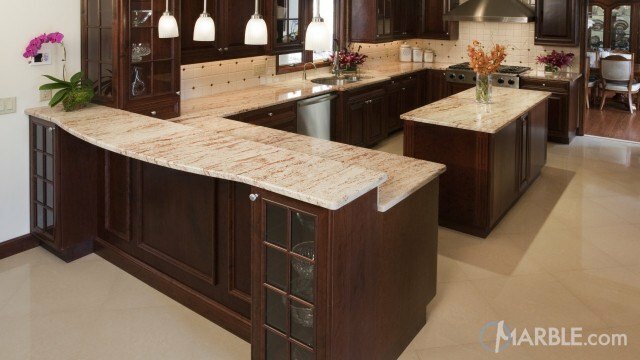 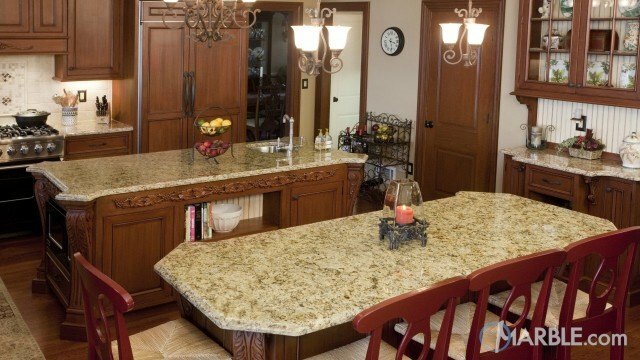 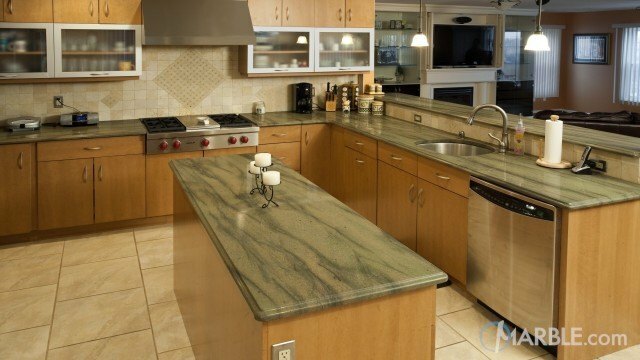 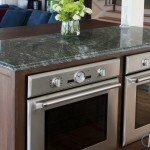 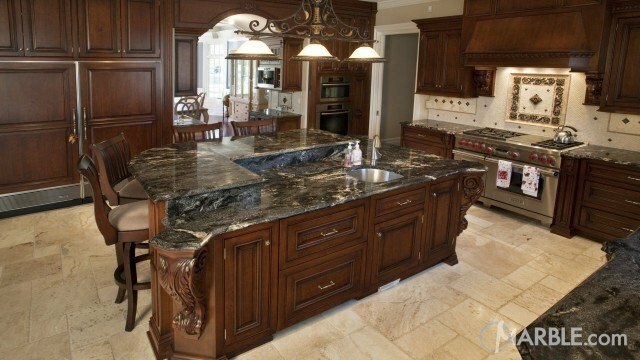 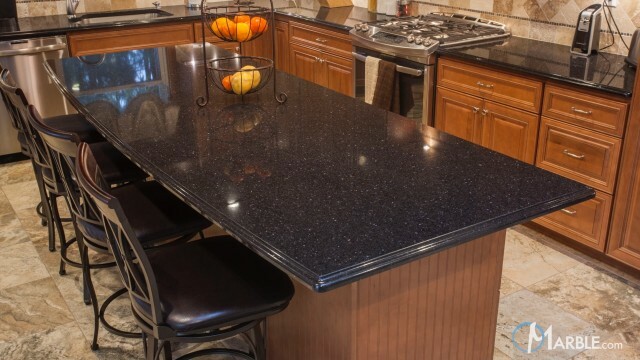 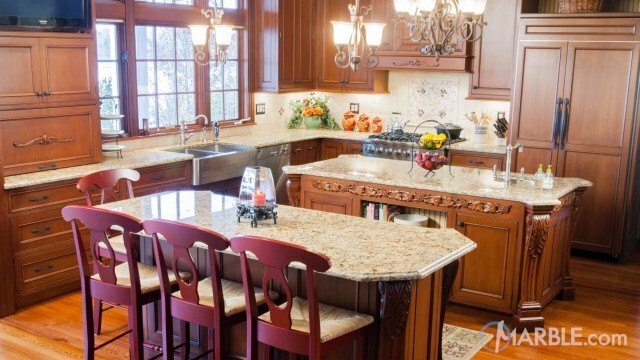 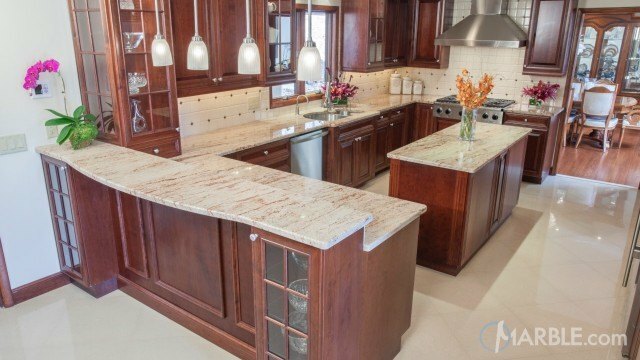 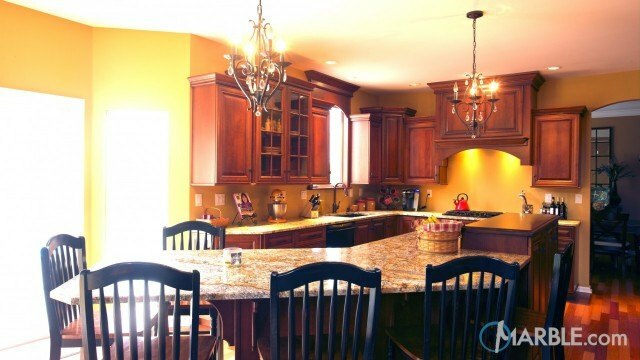 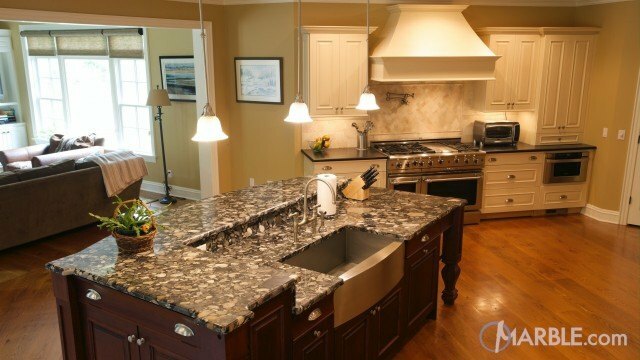 The pristine lake views from this kitchen pair beautifully with Green Ocean granite with an Ogee Edge. 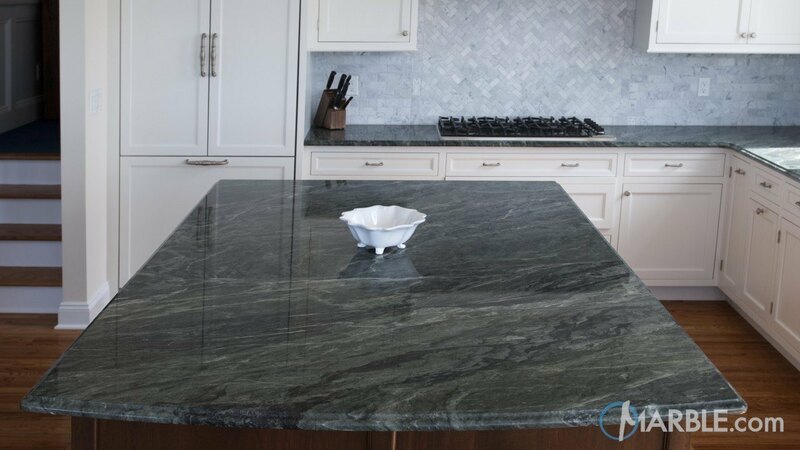 The black, white and green veins running through the piece mimic the flow of the water and bring a sense of tranquility to the room. 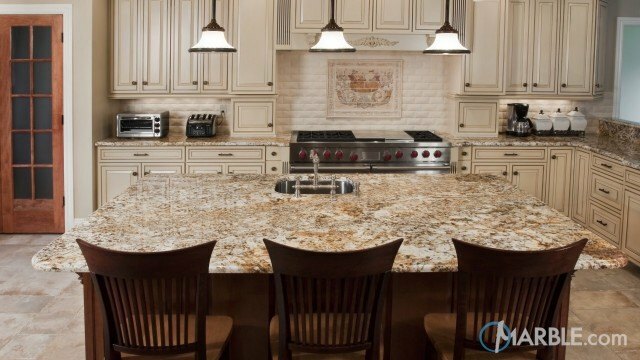 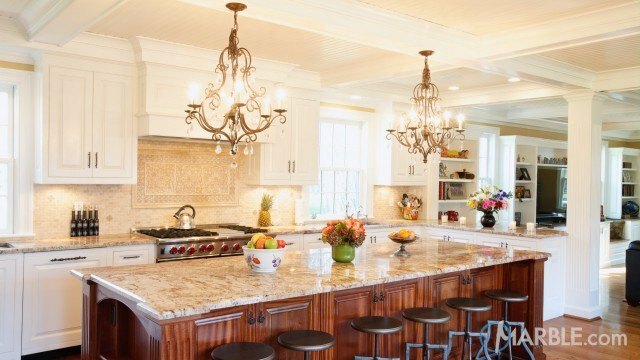 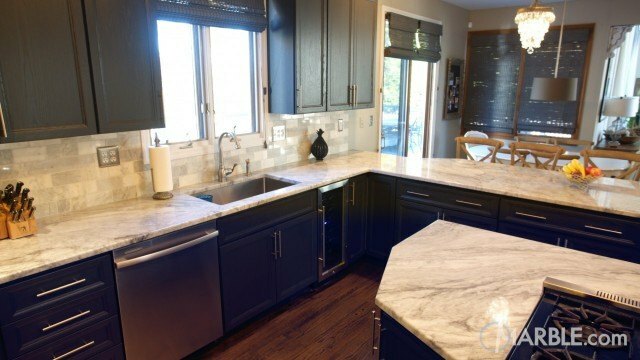 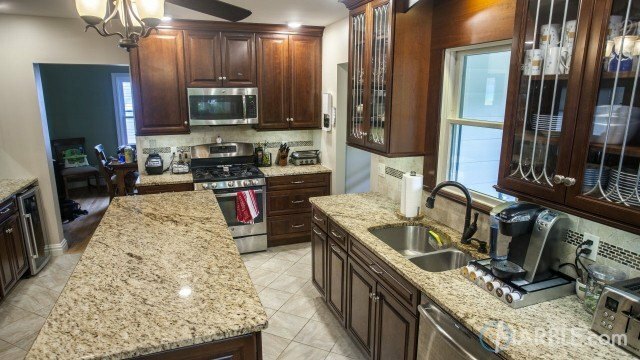 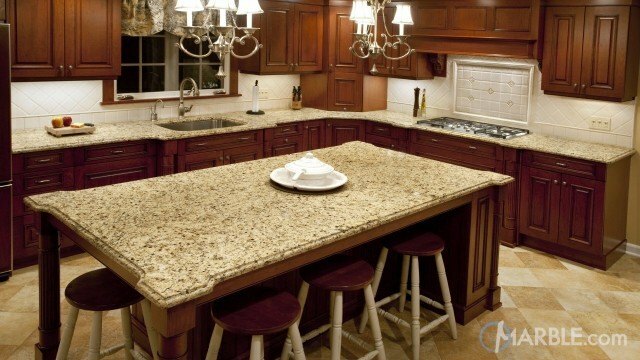 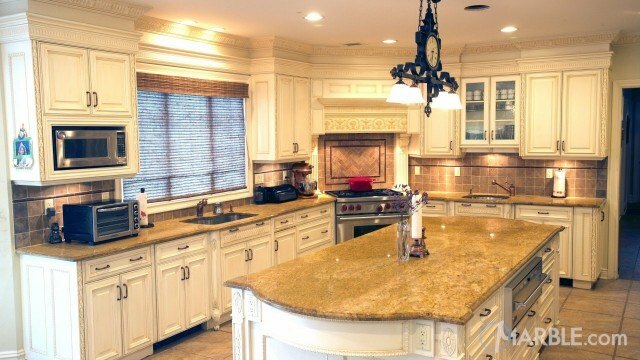 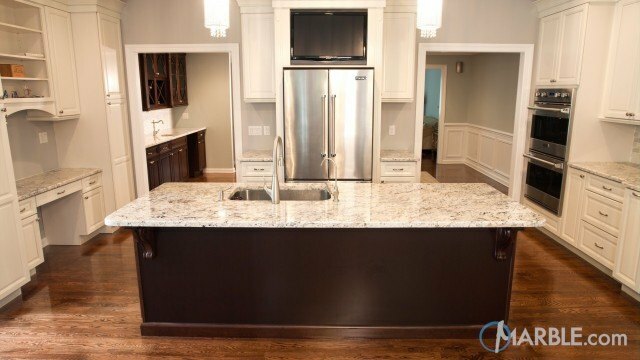 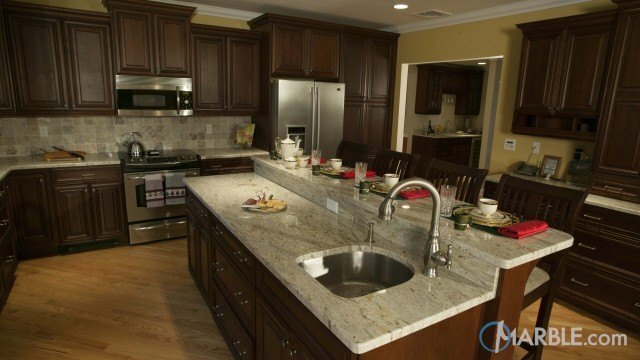 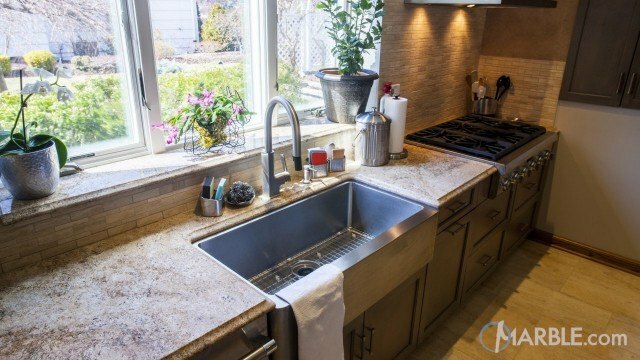 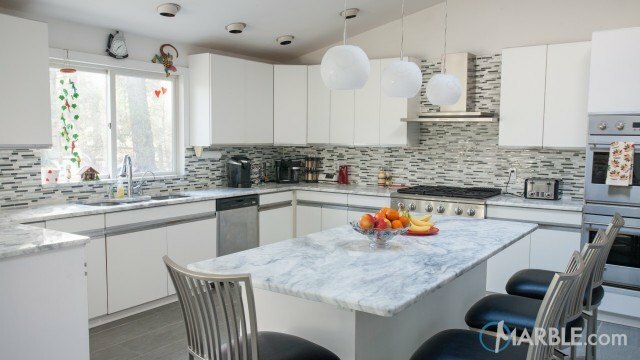 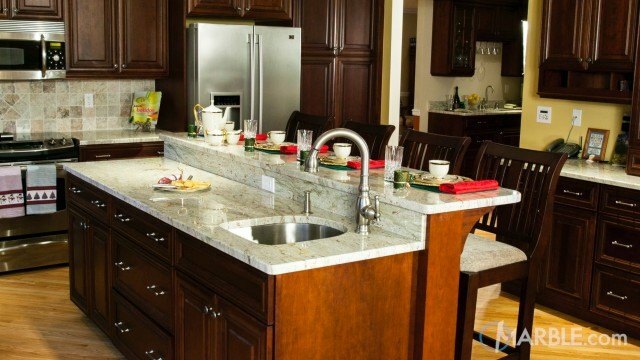 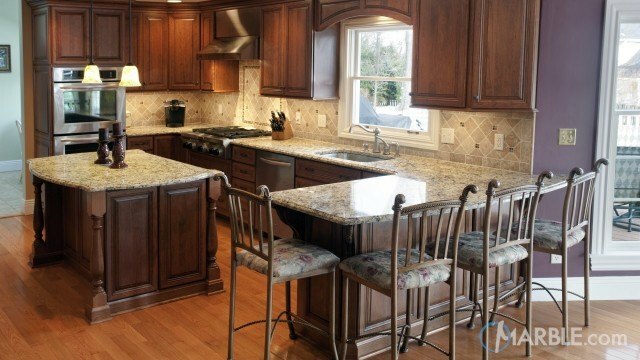 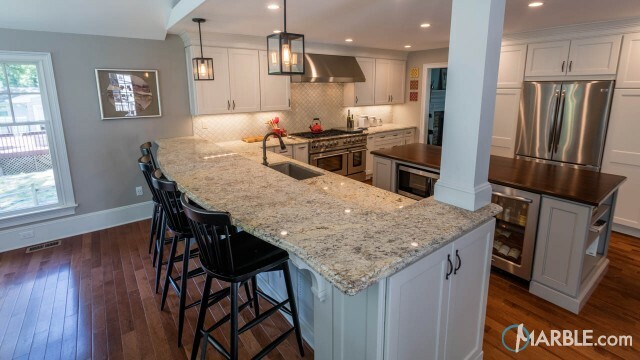 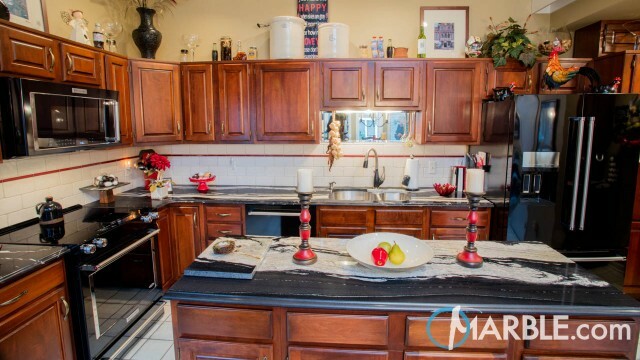 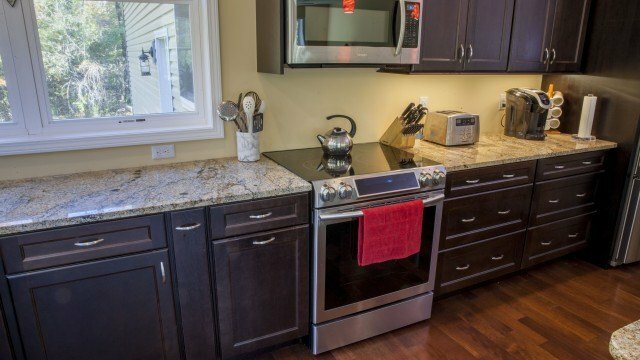 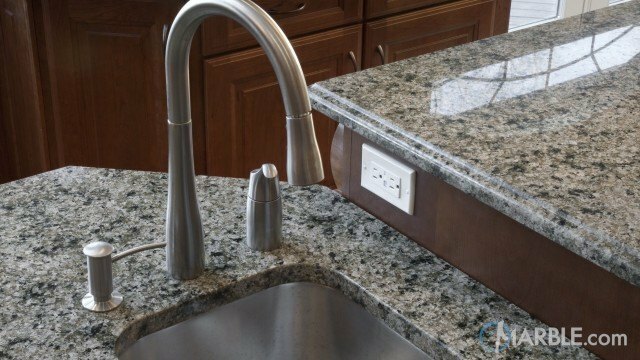 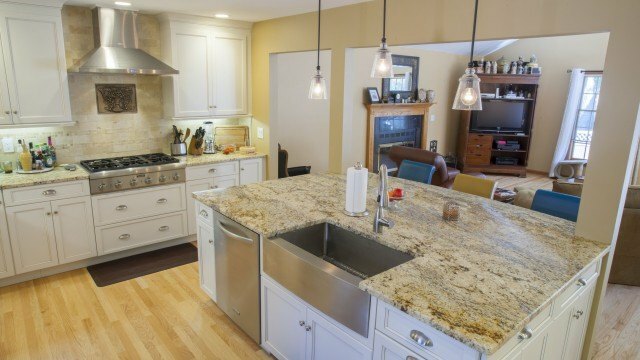 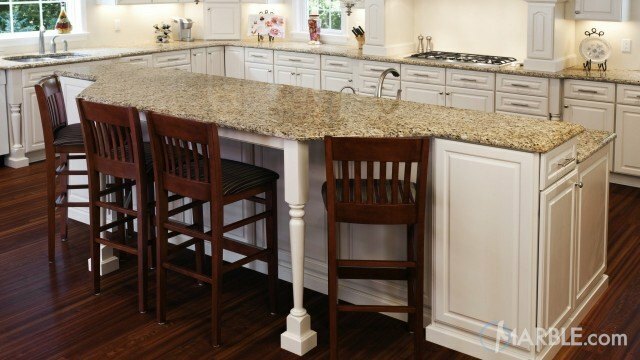 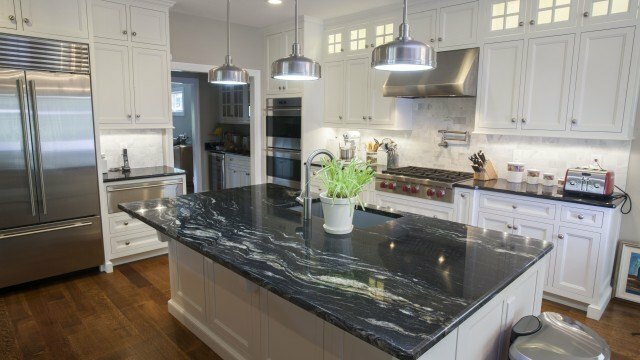 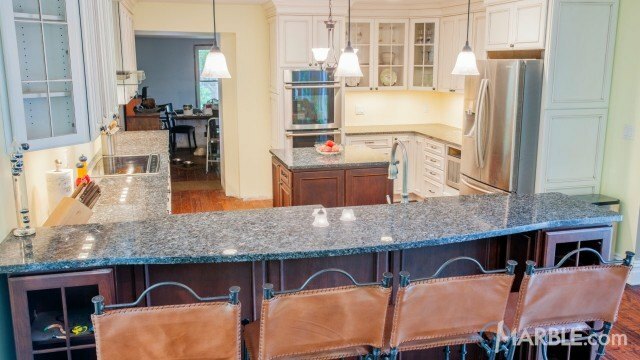 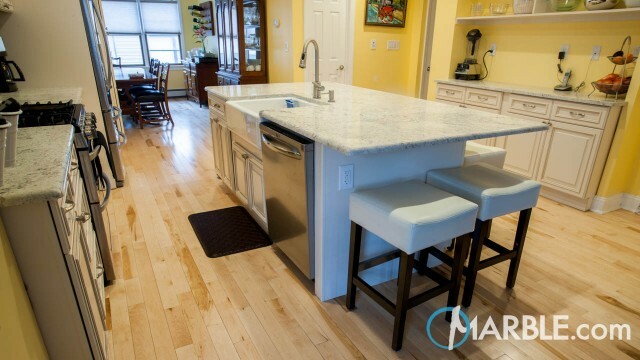 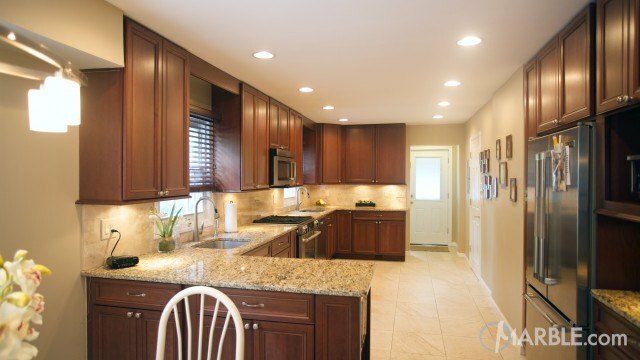 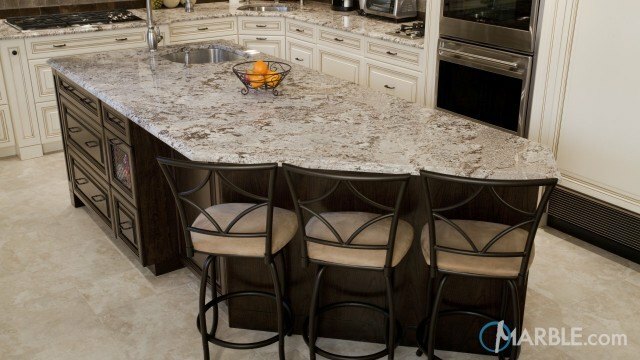 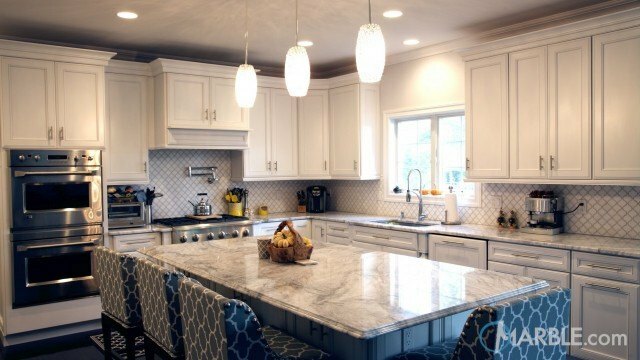 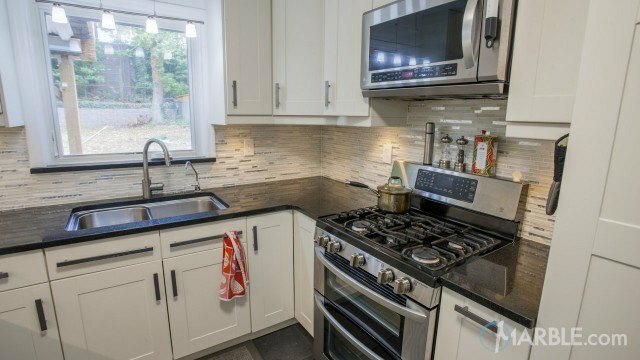 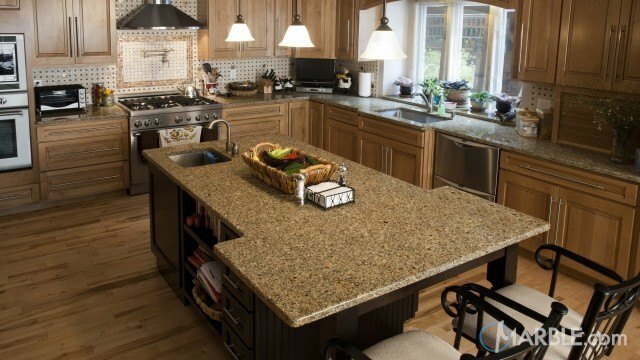 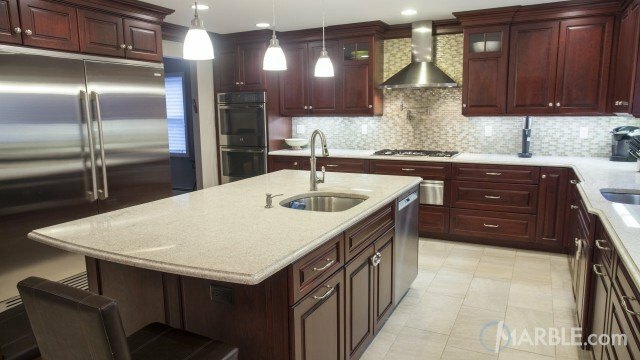 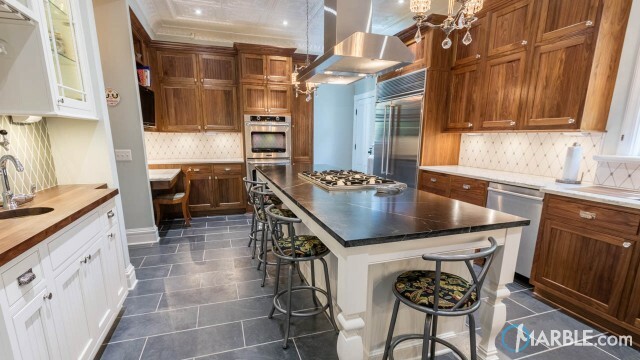 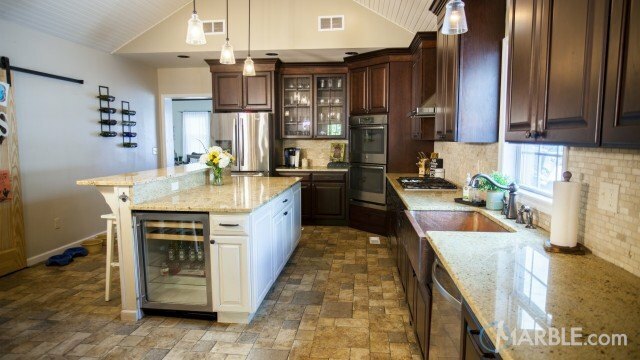 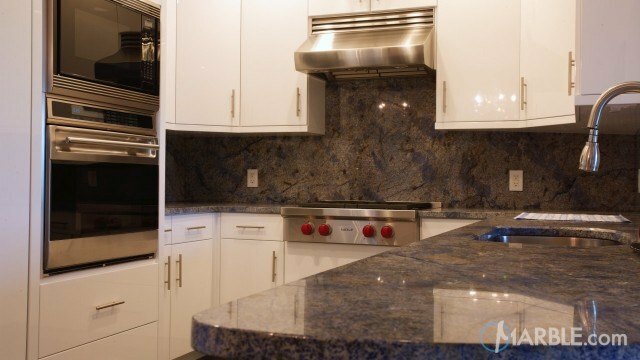 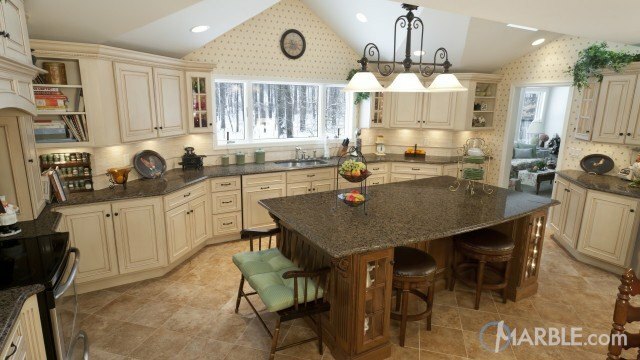 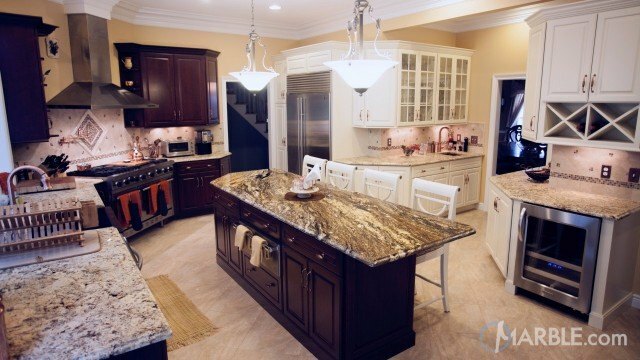 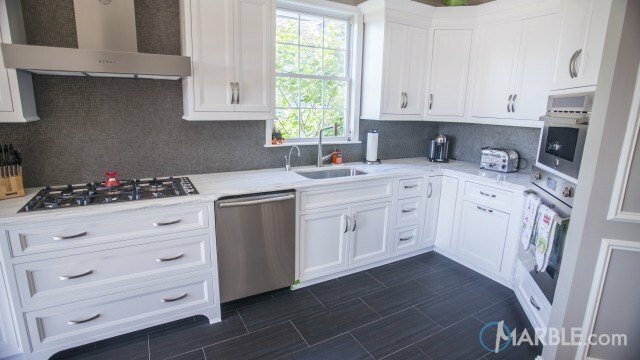 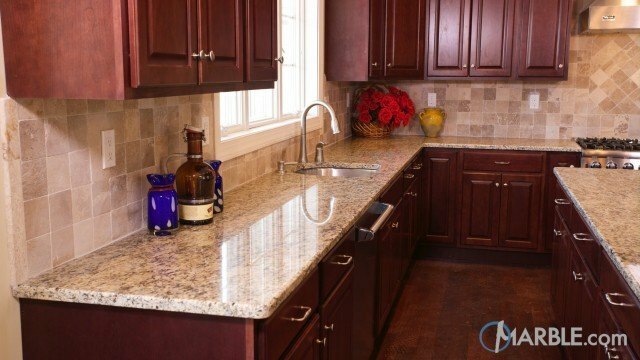 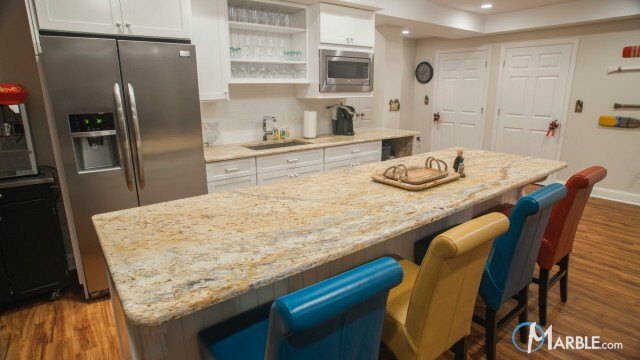 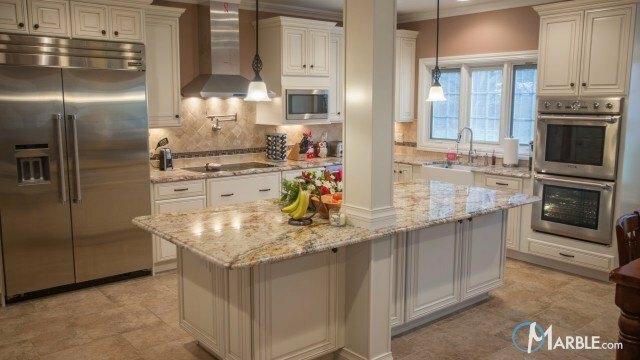 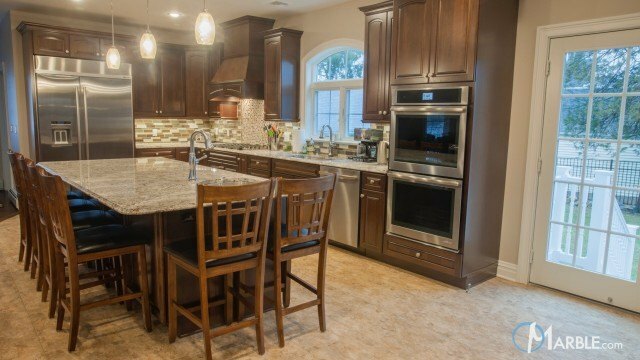 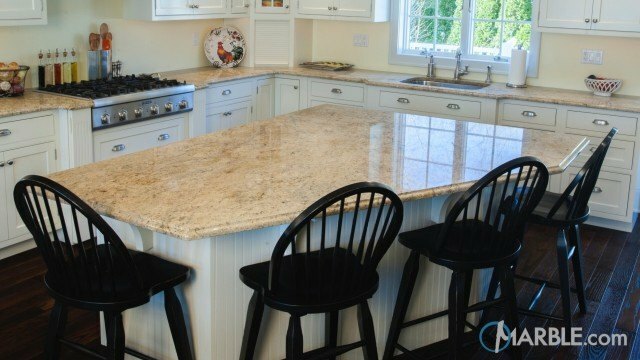 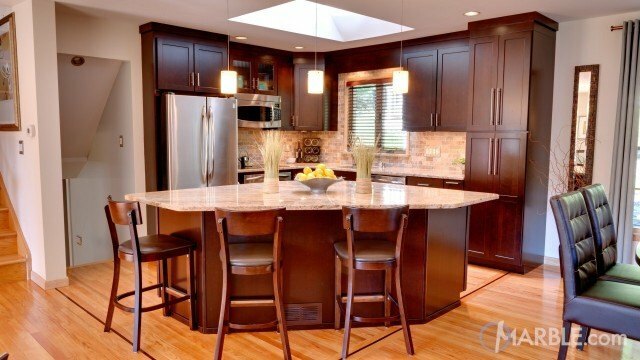 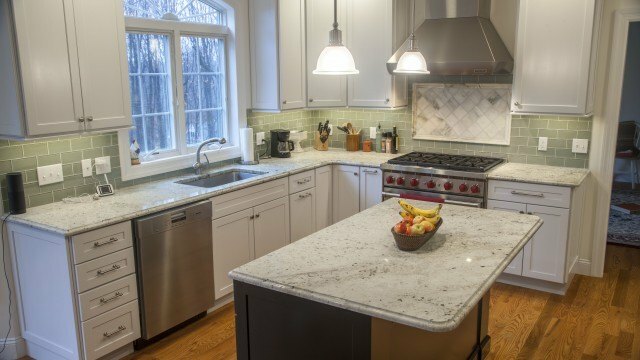 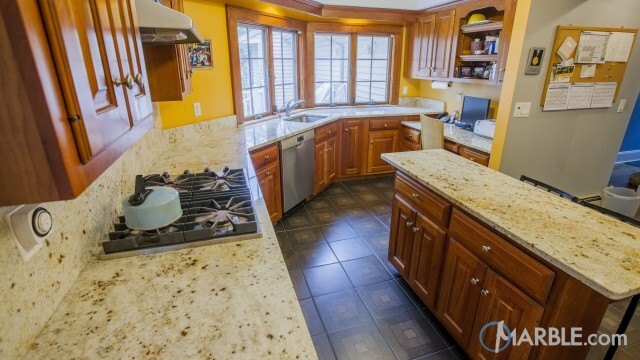 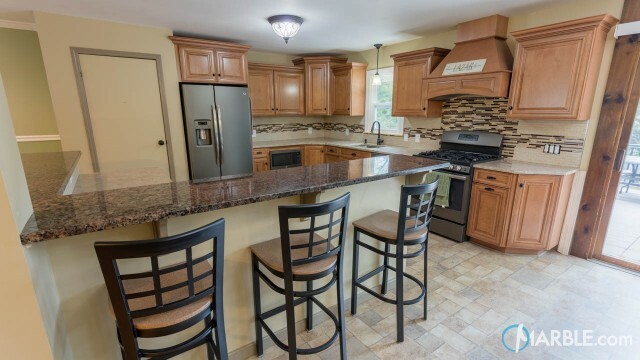 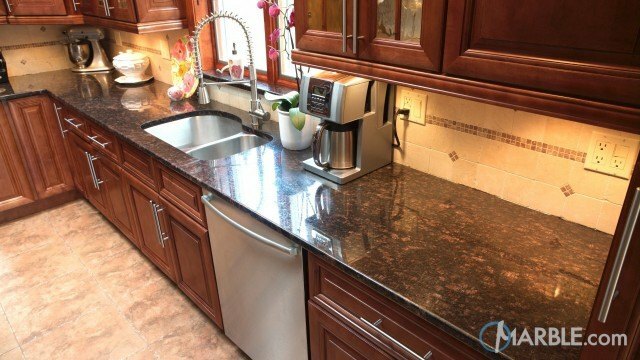 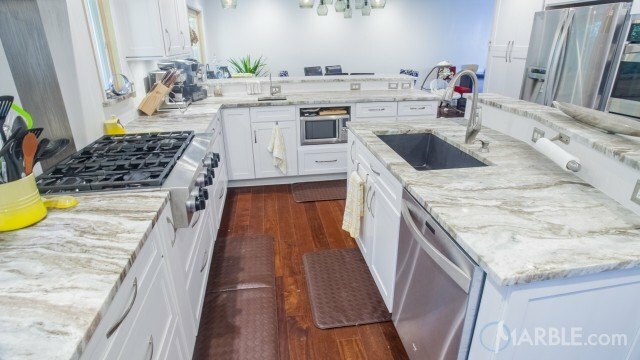 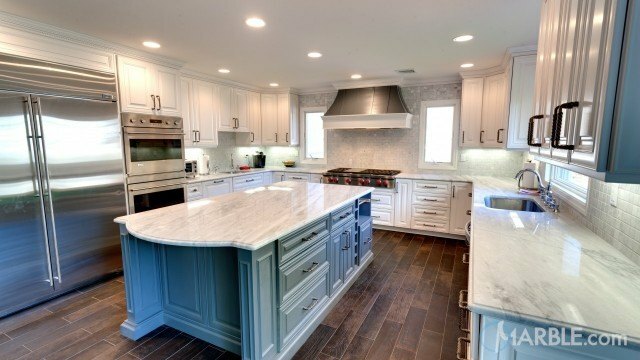 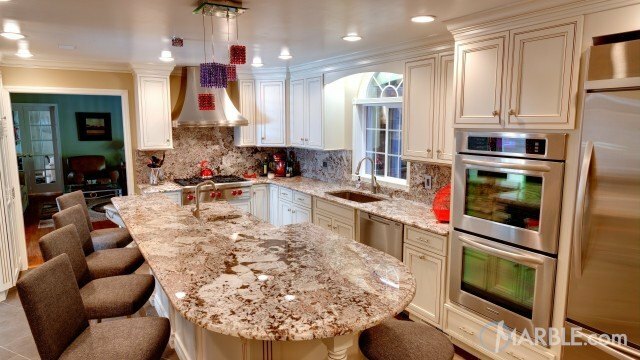 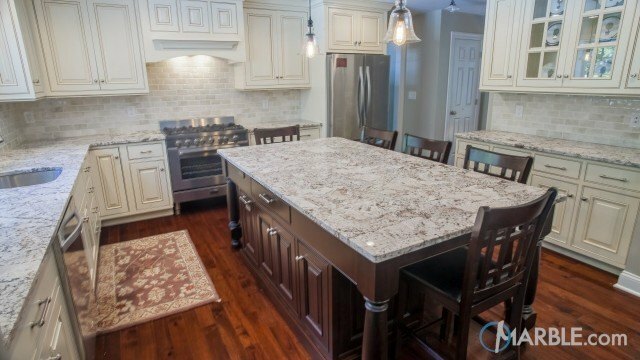 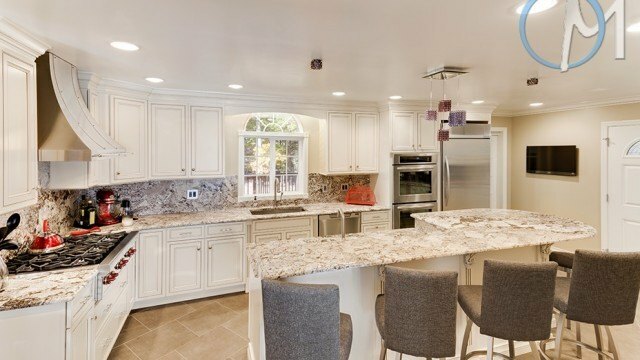 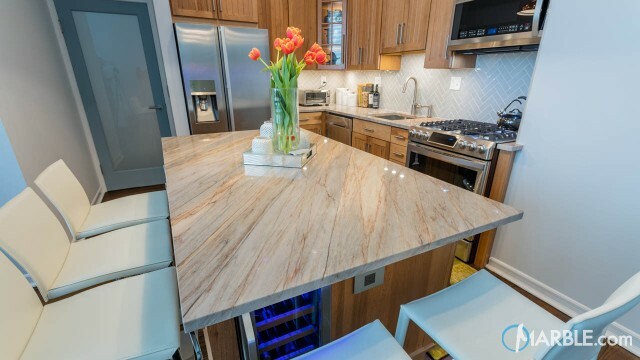 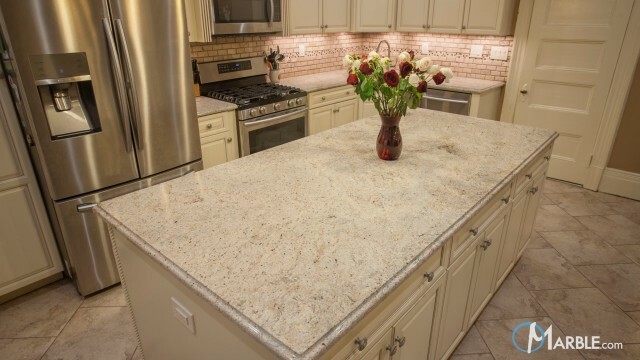 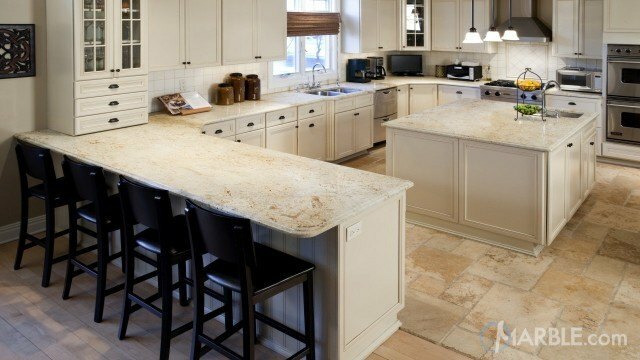 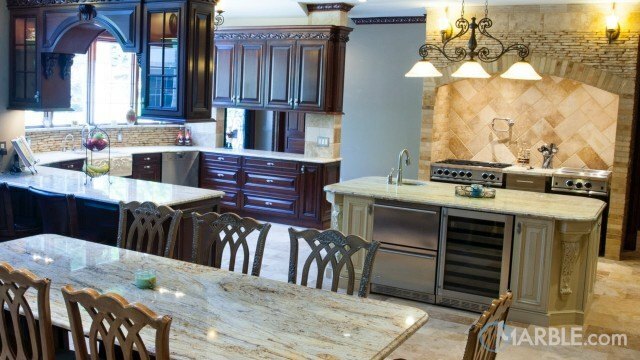 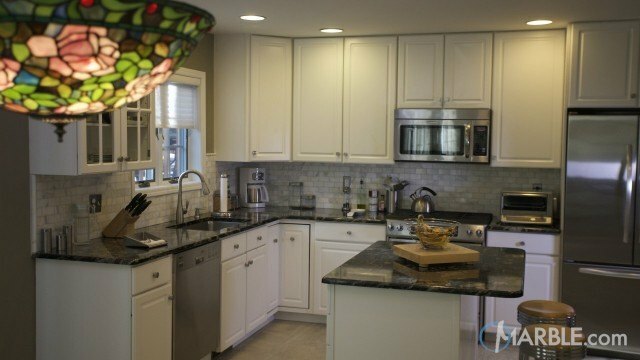 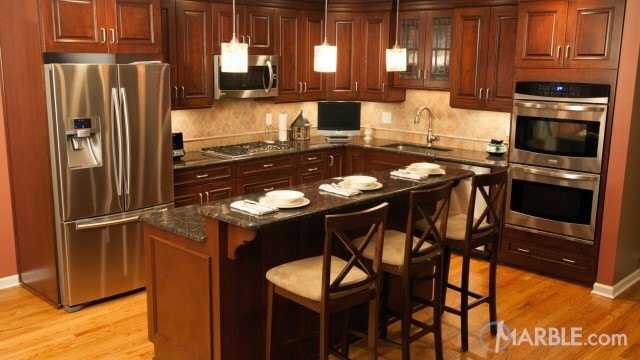 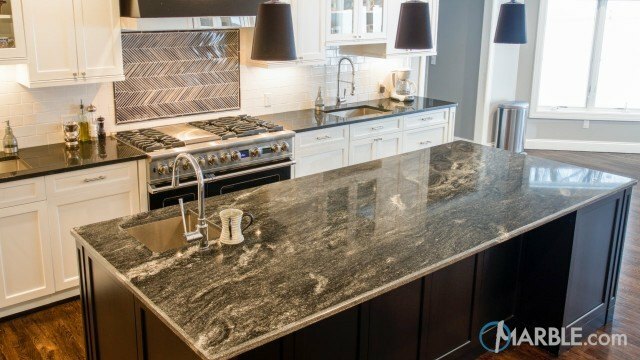 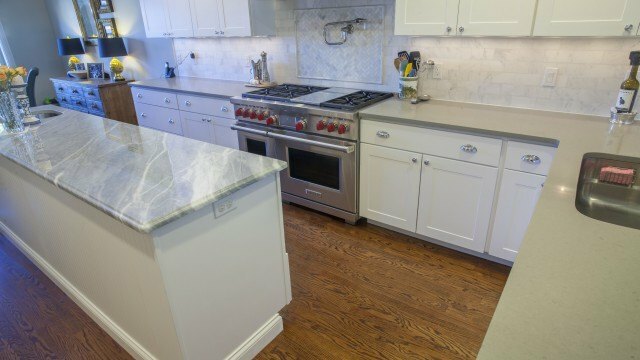 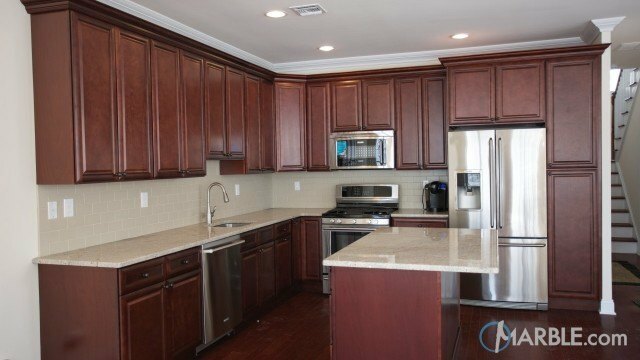 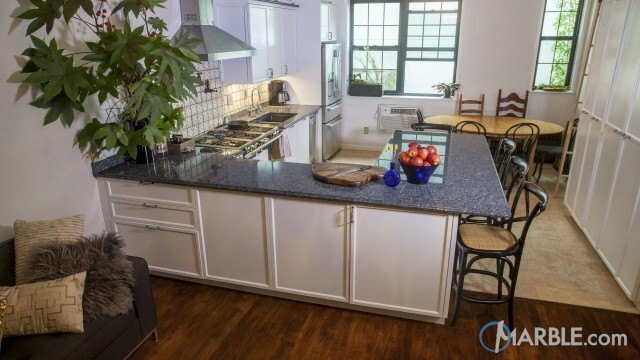 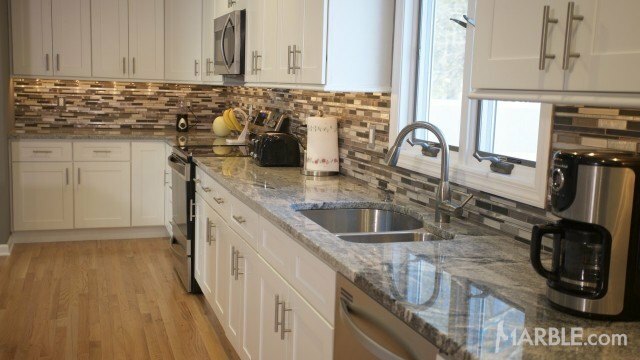 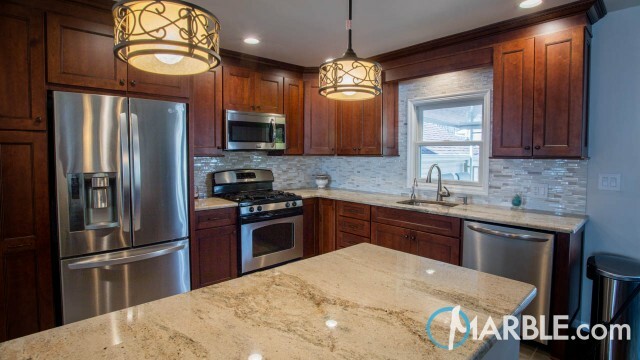 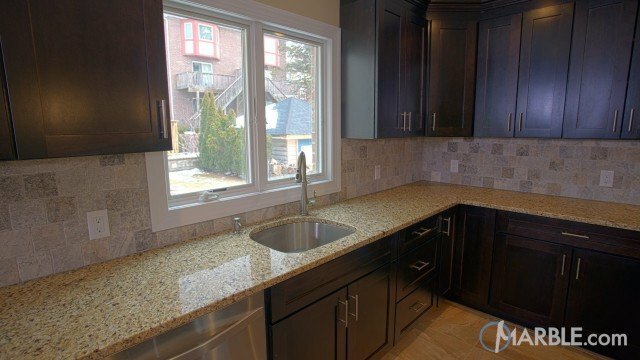 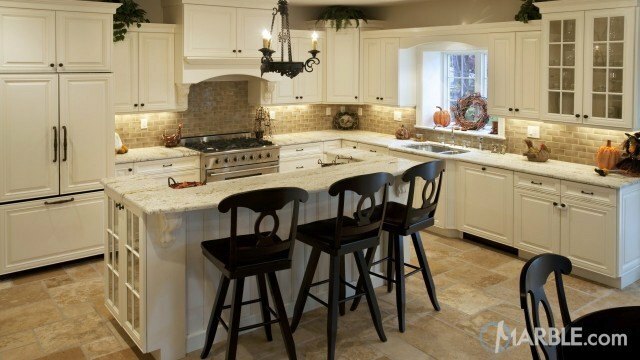 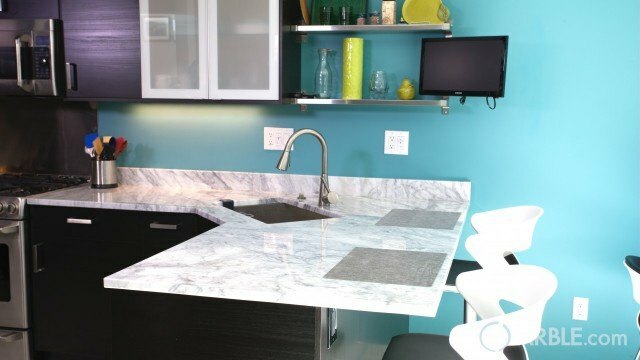 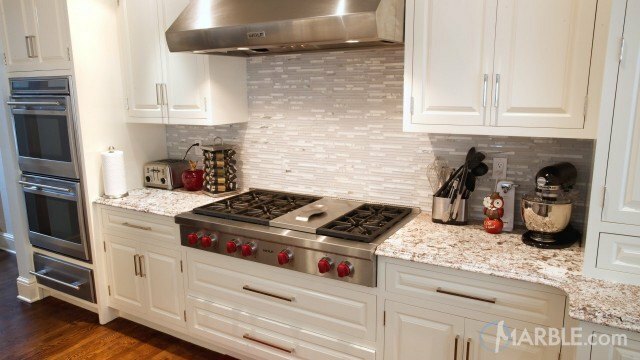 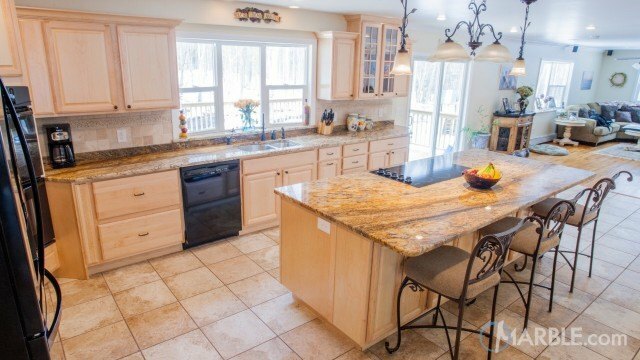 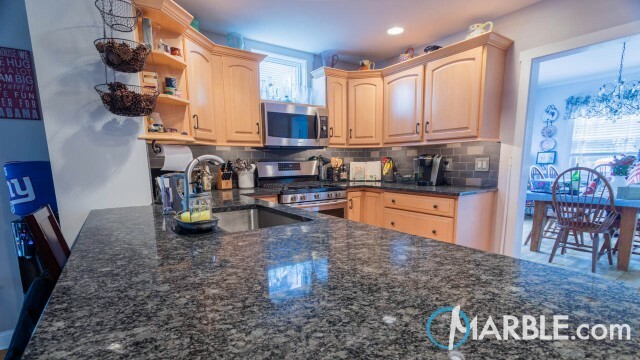 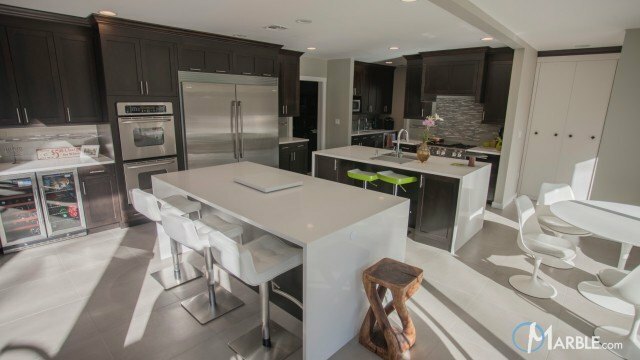 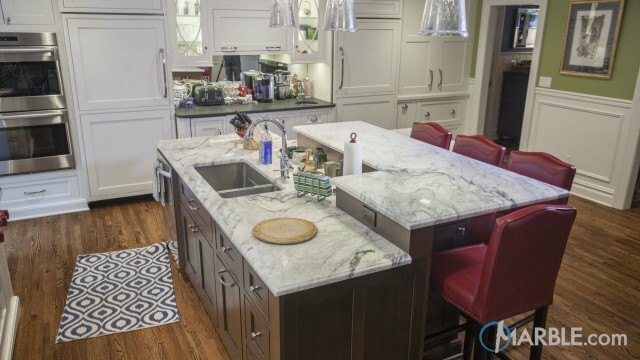 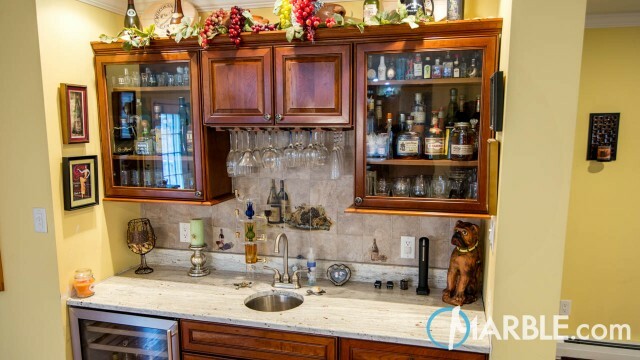 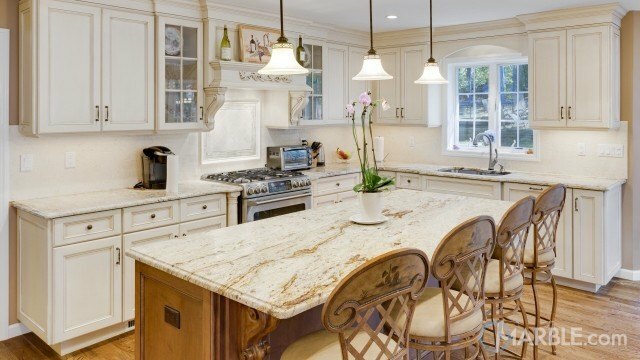 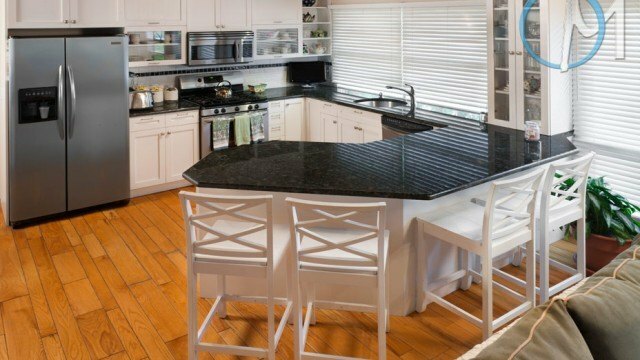 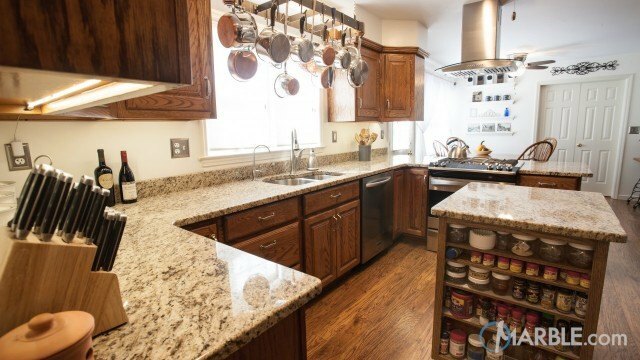 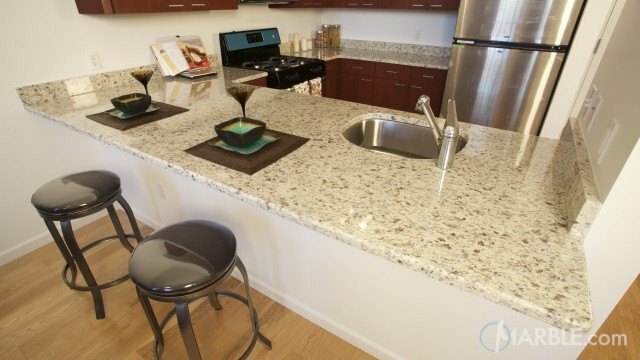 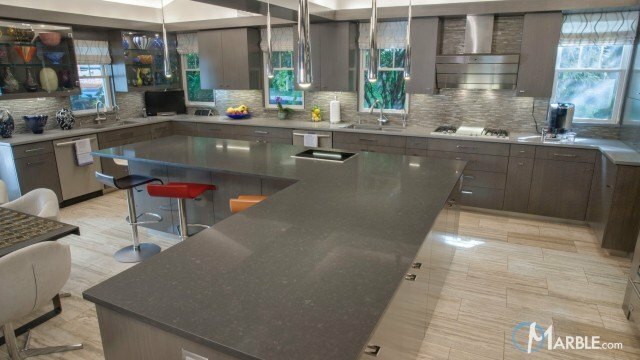 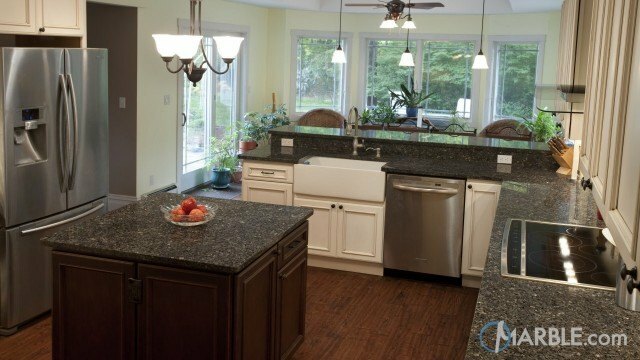 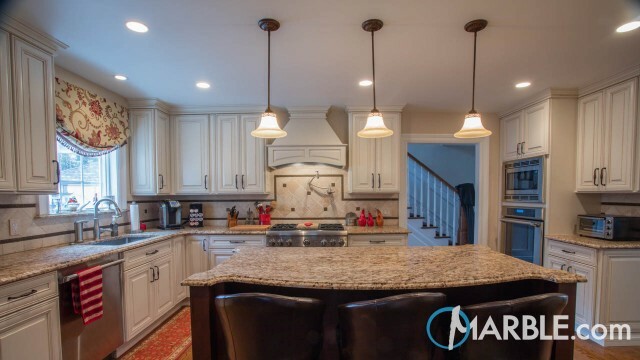 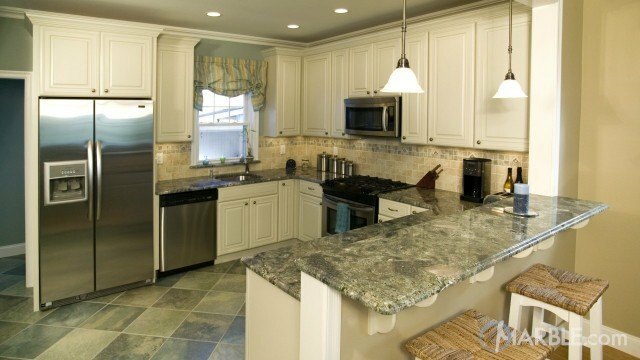 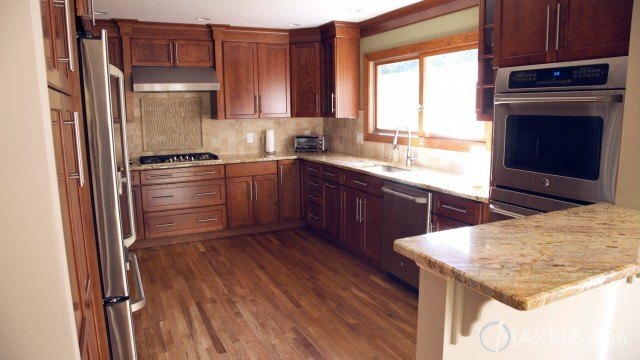 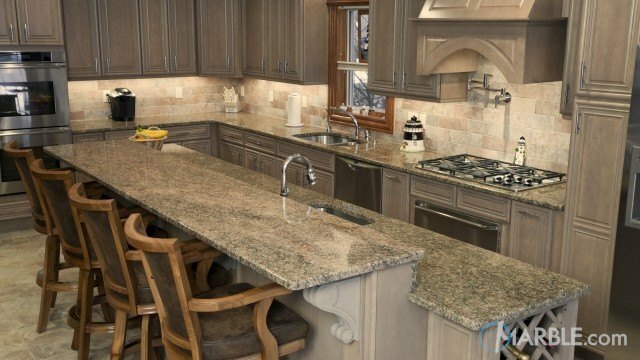 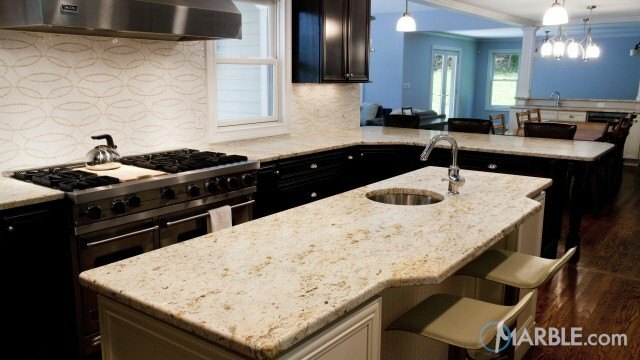 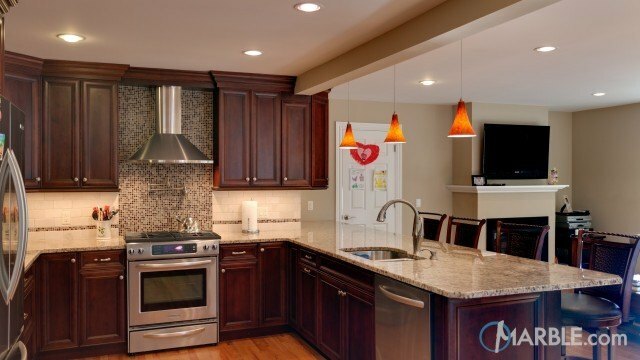 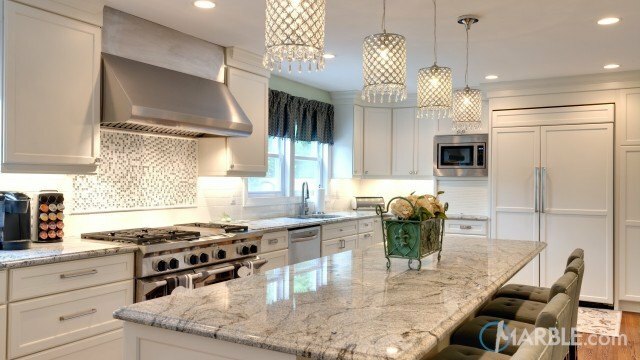 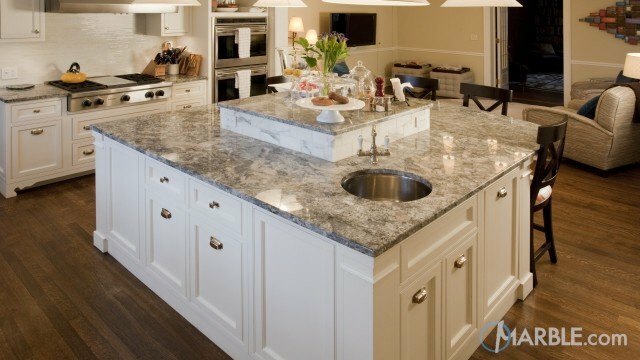 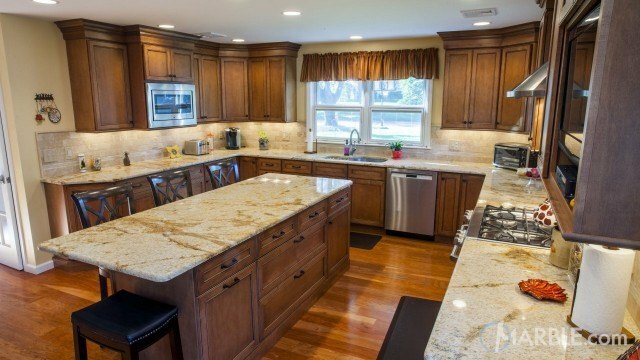 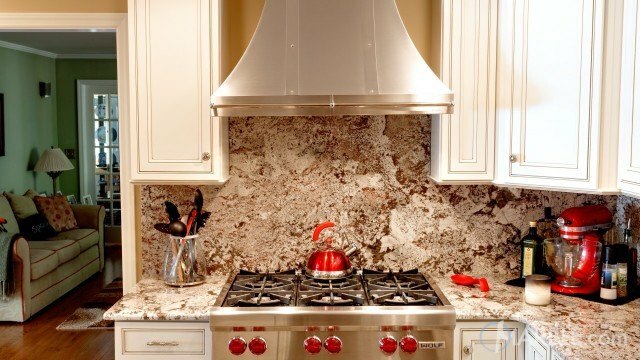 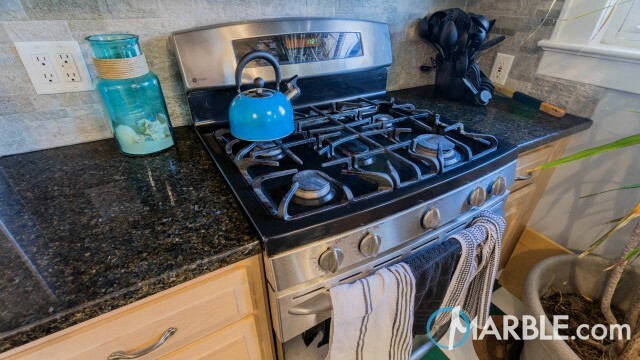 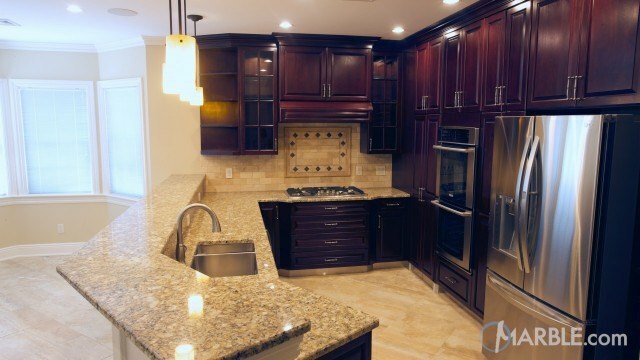 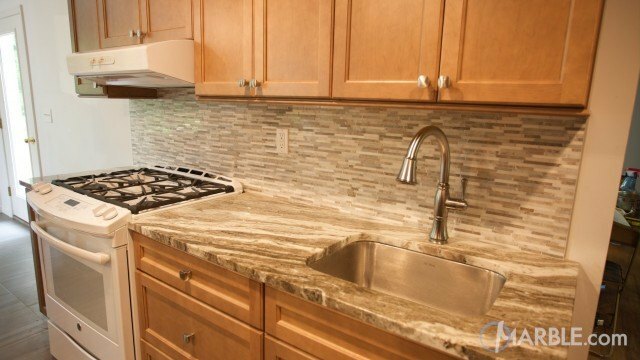 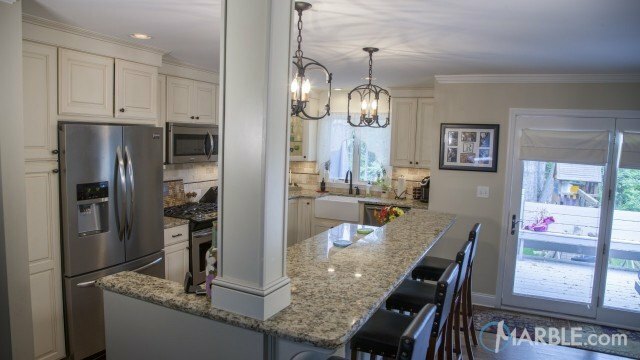 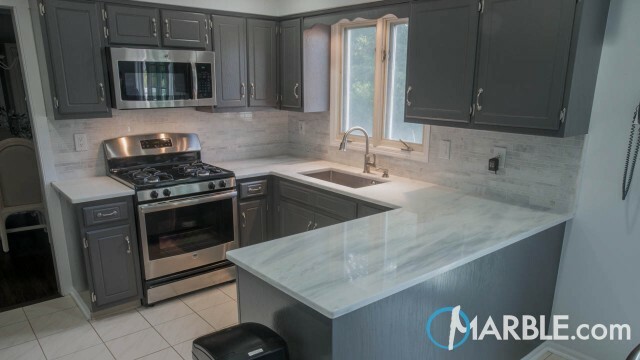 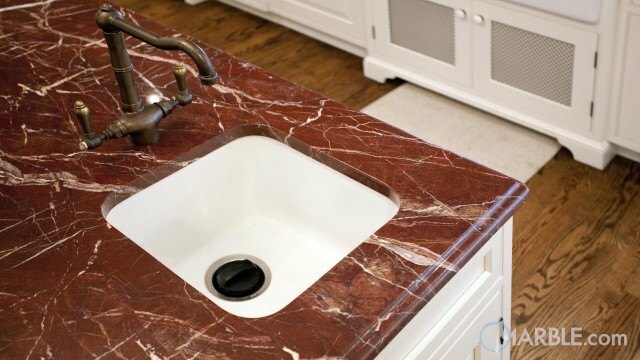 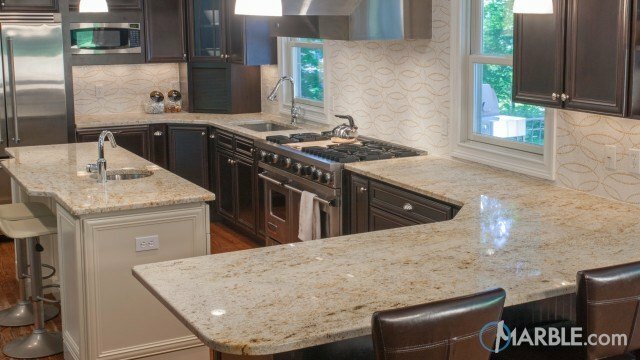 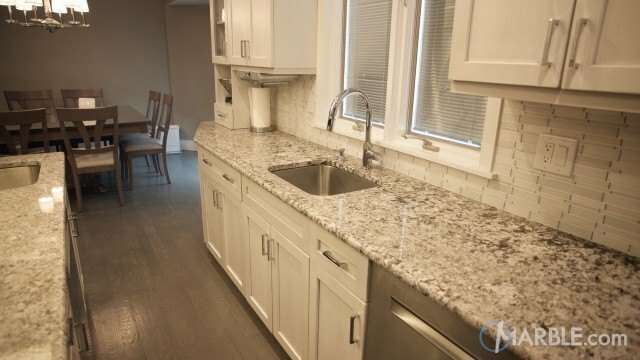 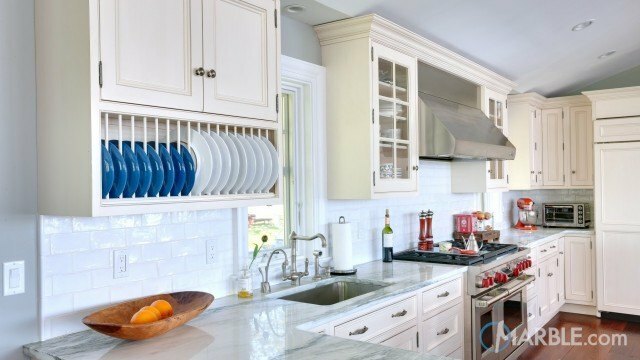 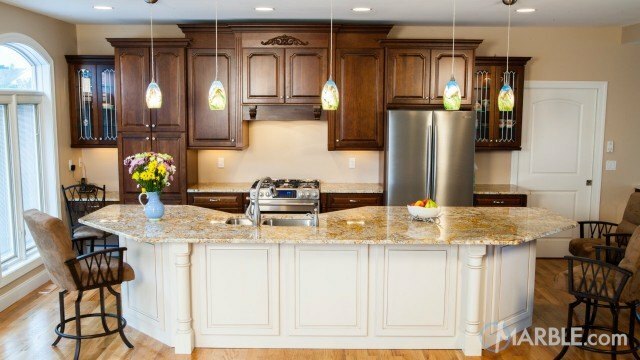 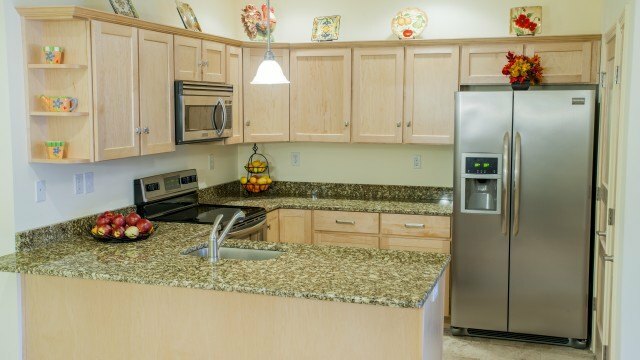 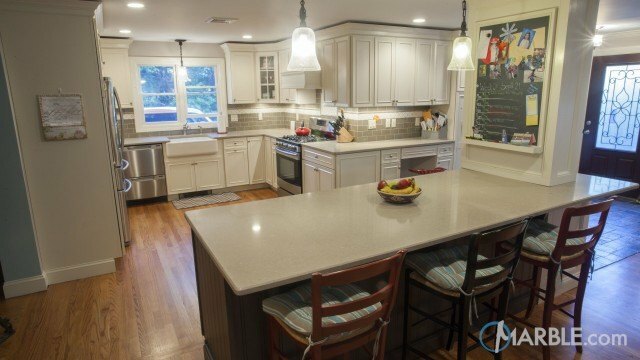 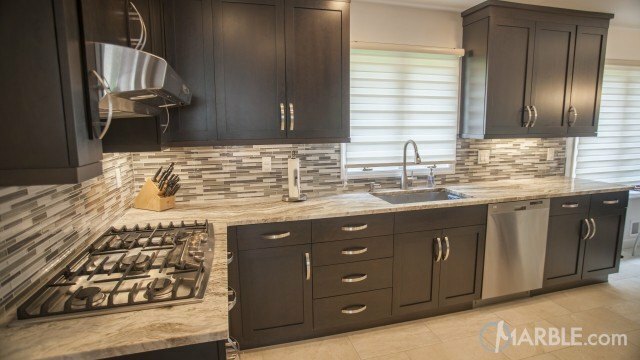 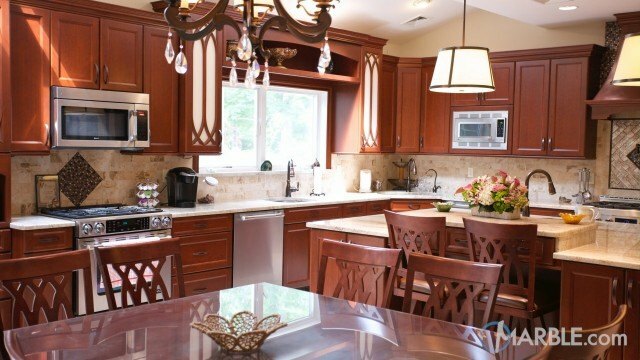 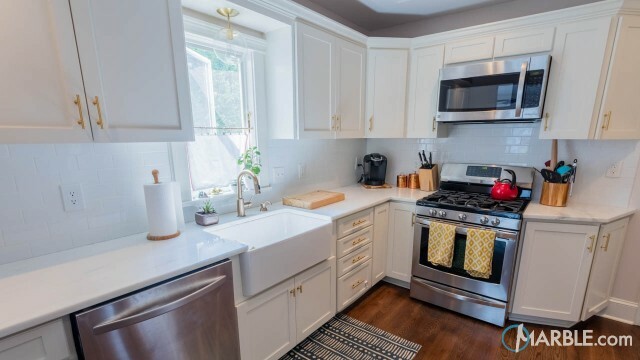 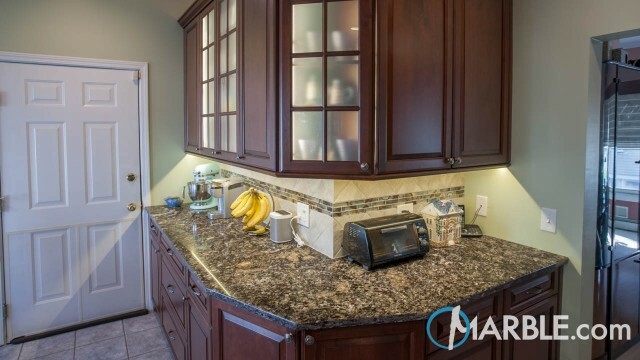 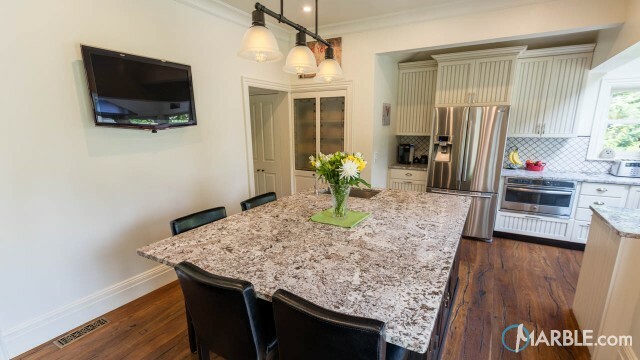 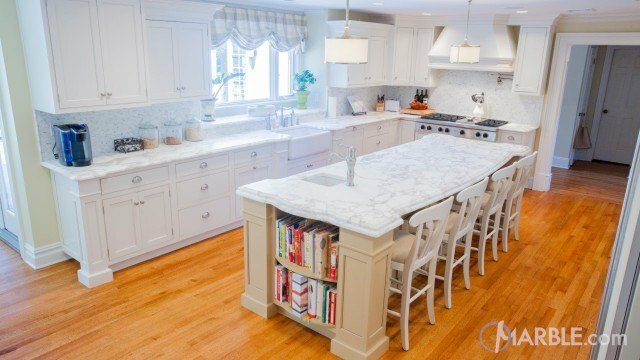 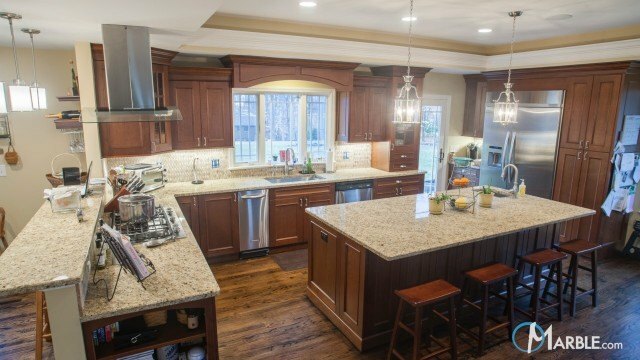 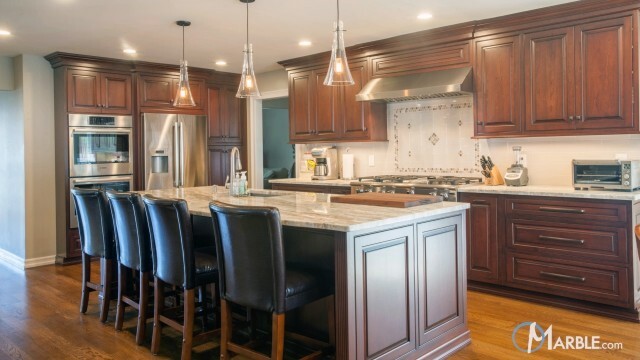 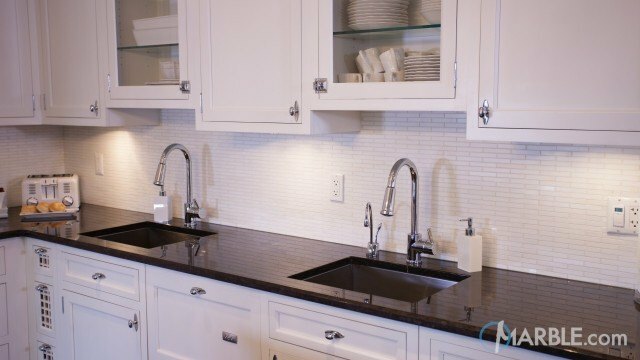 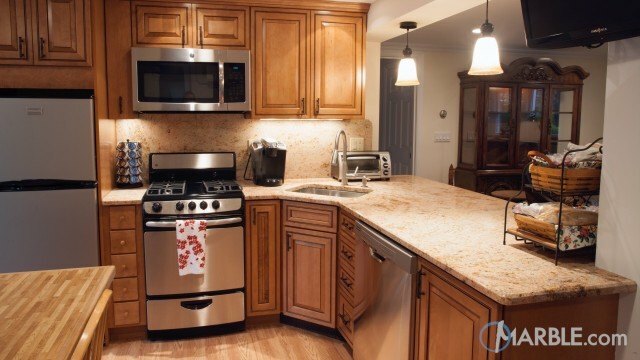 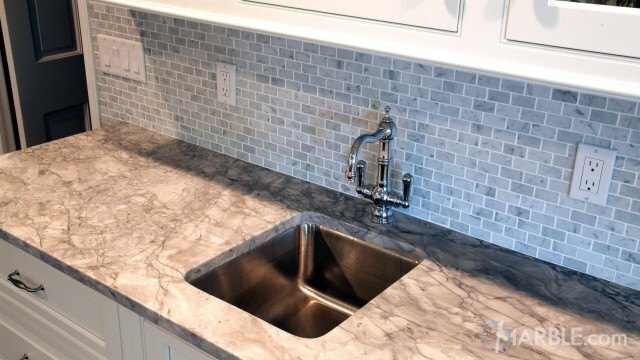 Simple white cabinets and a grey back splash allow the granite to stand out on its own.